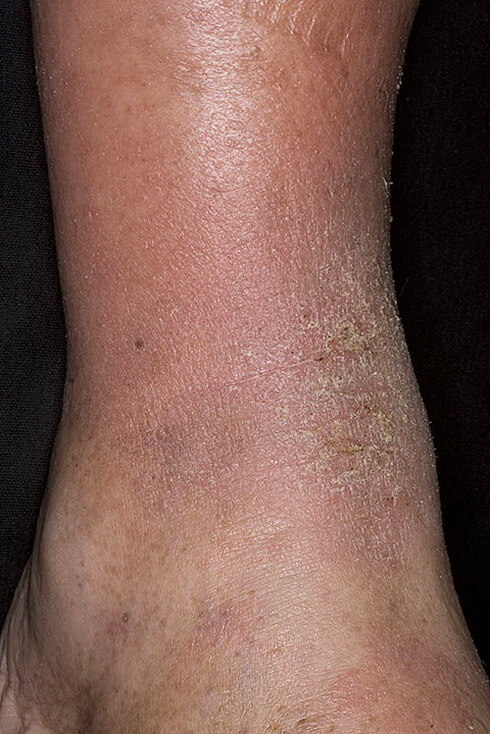 Stasis dermatitis is a common inflammatory skin disease that occurs on the lower extremities. 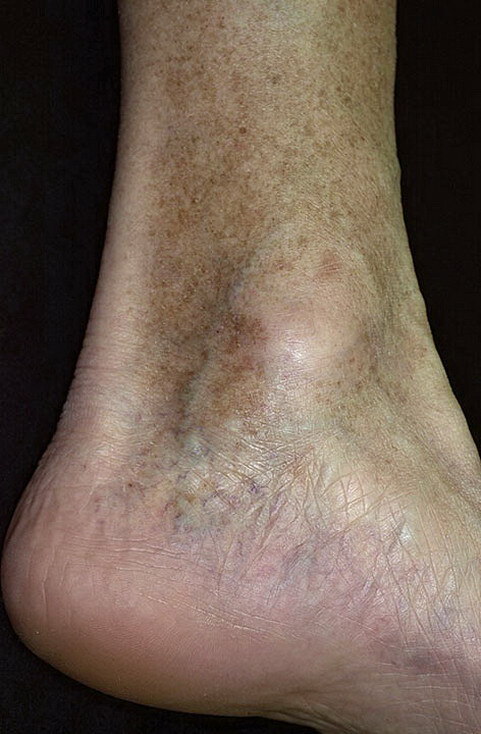 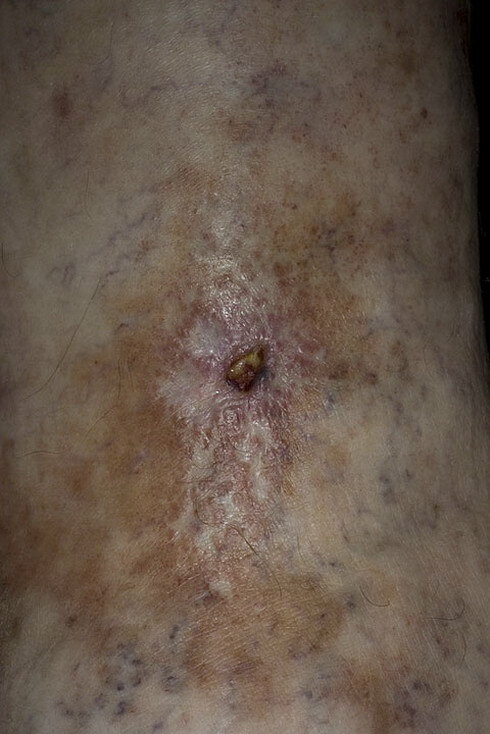 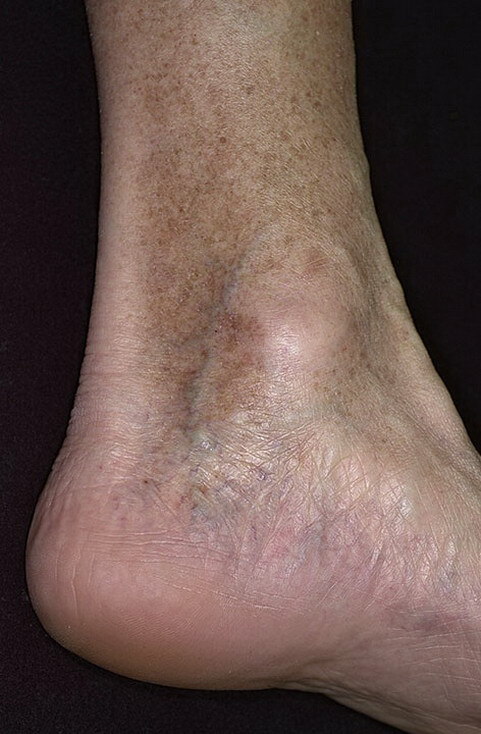 It is usually the earliest cutaneous sequela of chronic venous insufficiency with venous hypertension and may be a precursor to more problematic conditions, such as venous leg ulceration and lipodermatosclerosis. 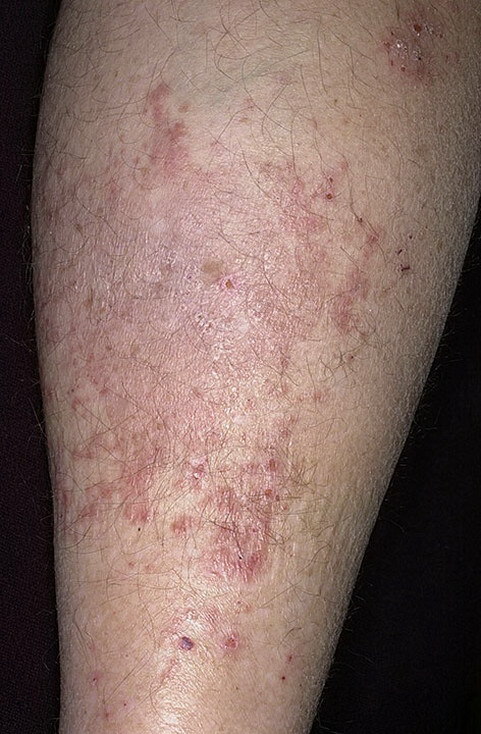 Pruritus - Patients with stasis dermatitis typically present with an insidious onset of pruritus affecting 1 or both lower extremities. 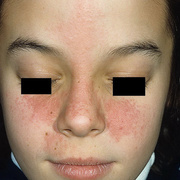 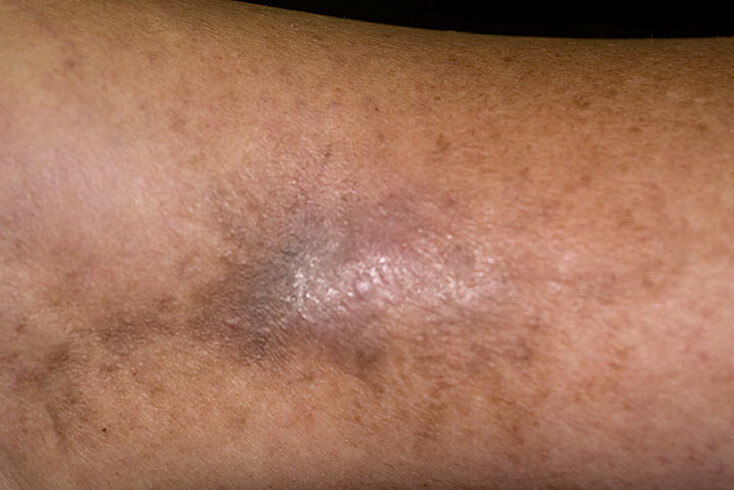 Discoloration - Reddish-brown skin discoloration is an early sign of stasis dermatitis and may precede the onset of symptoms. 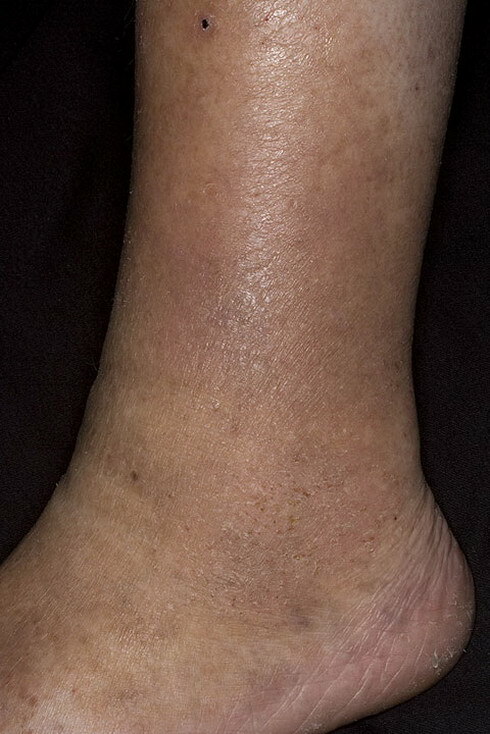 Ankle involvement - The medial ankle is most frequently involved, with symptoms progressing to involve the foot and/or calf. 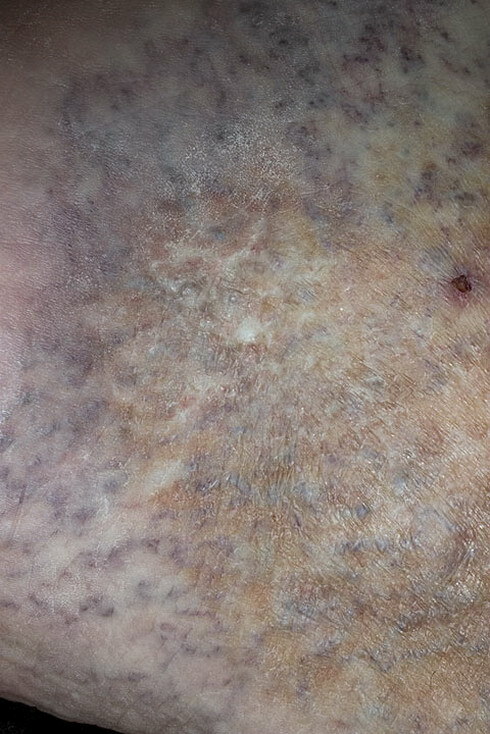 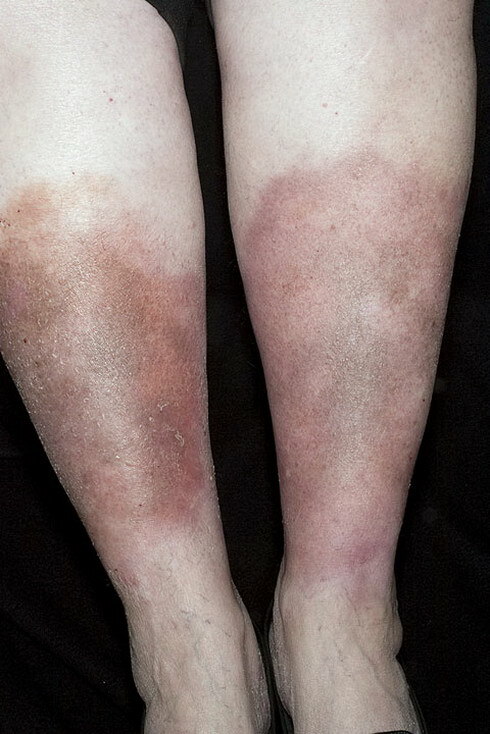 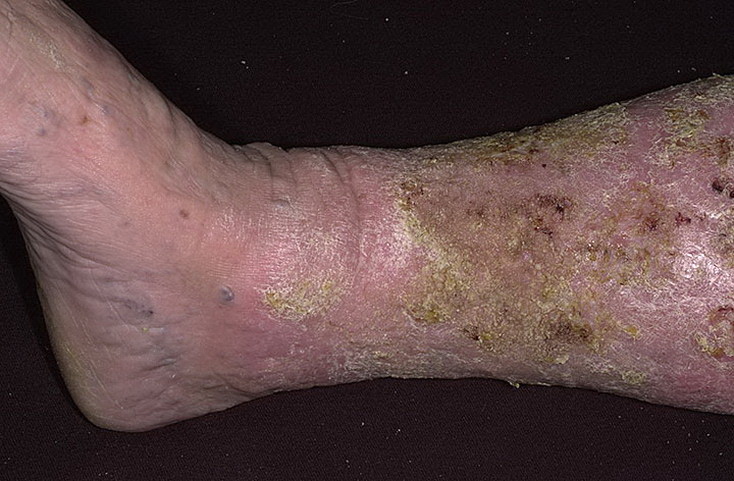 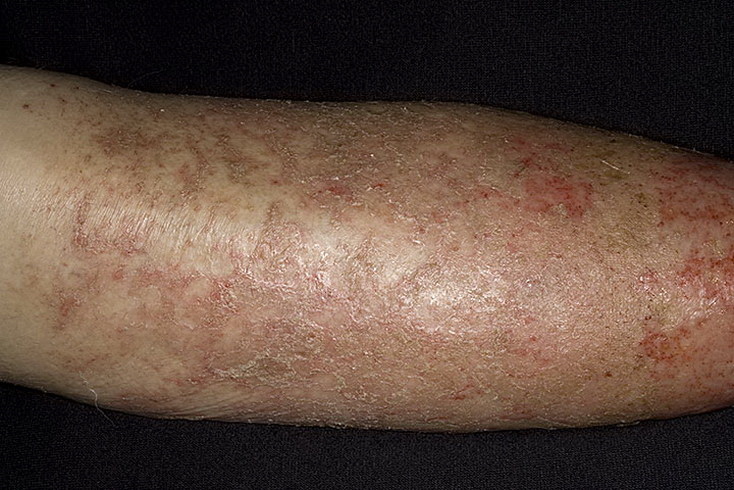 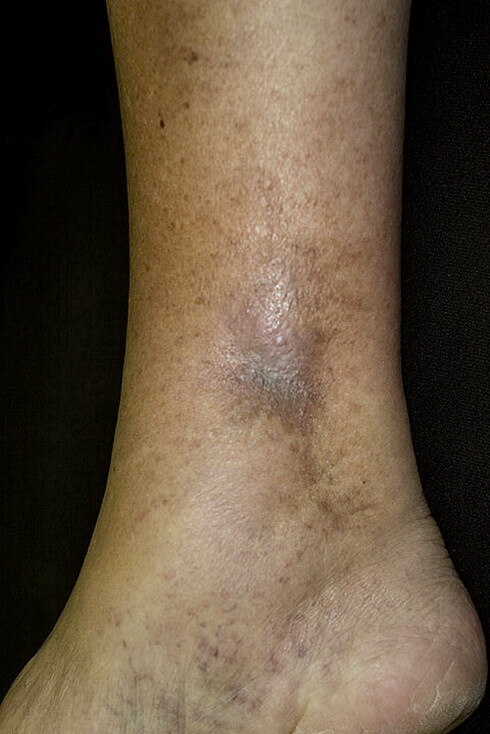 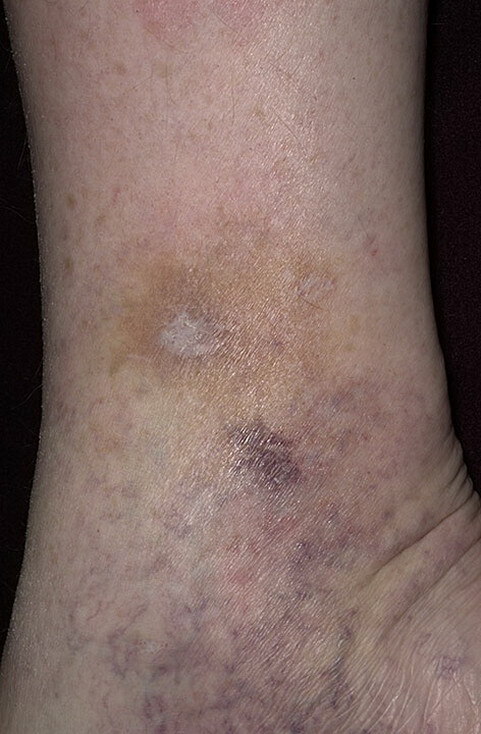 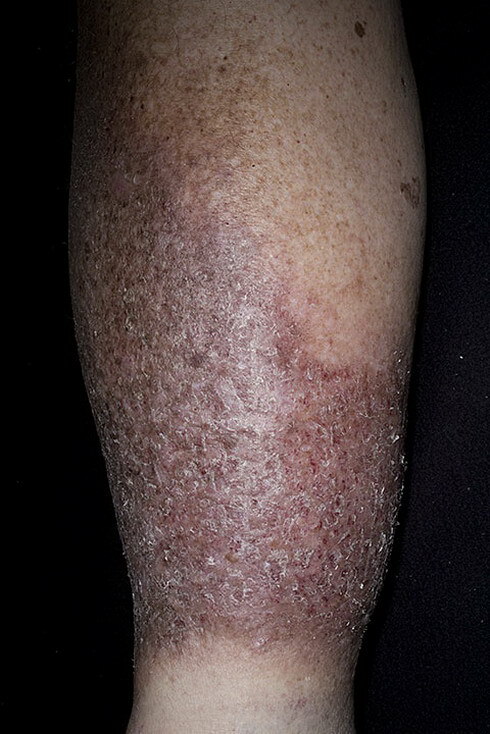 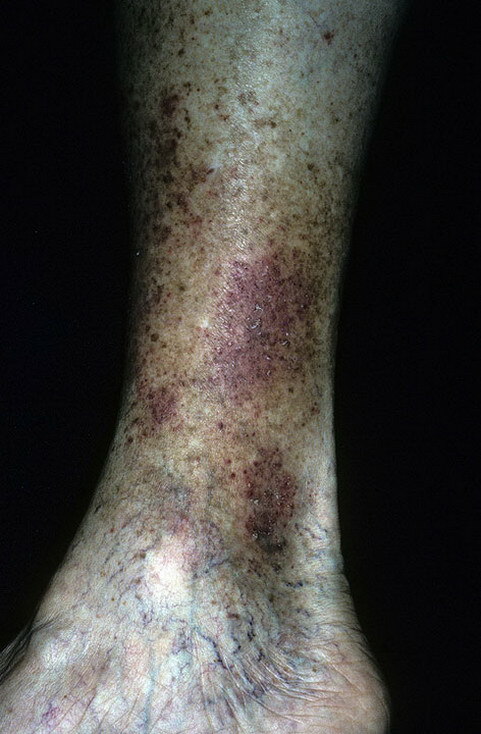 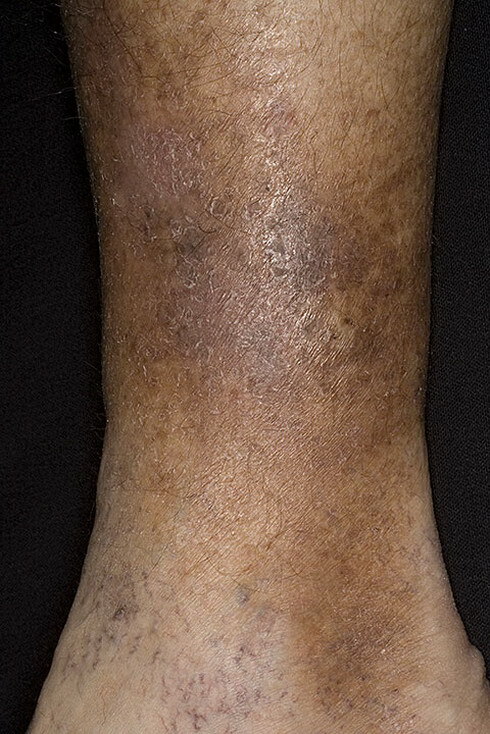 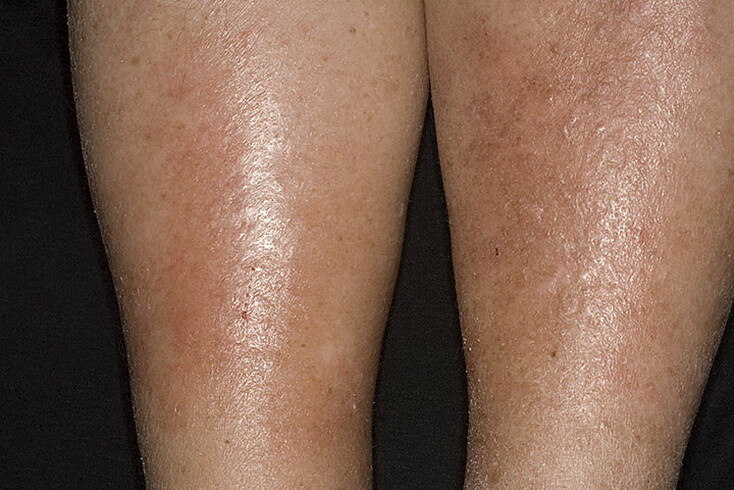 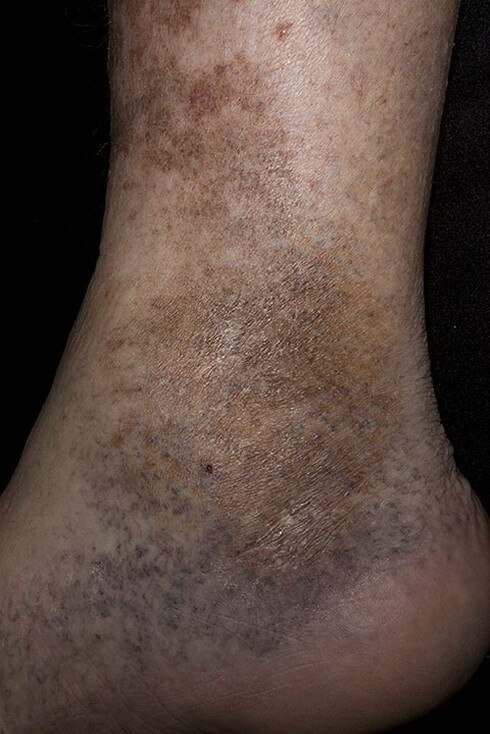 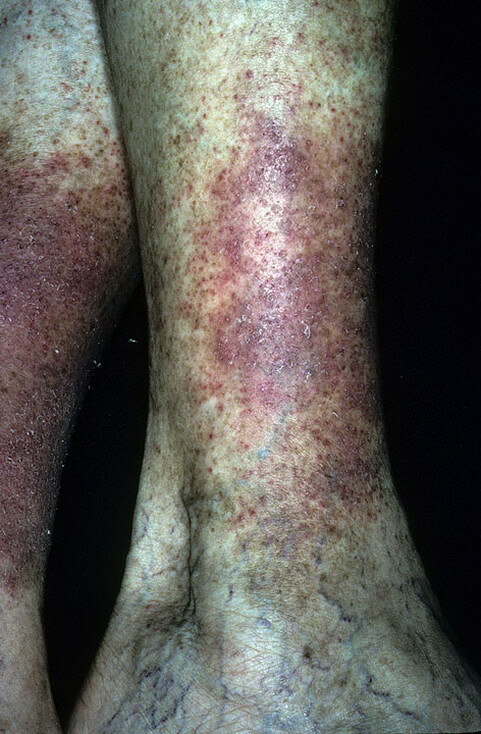 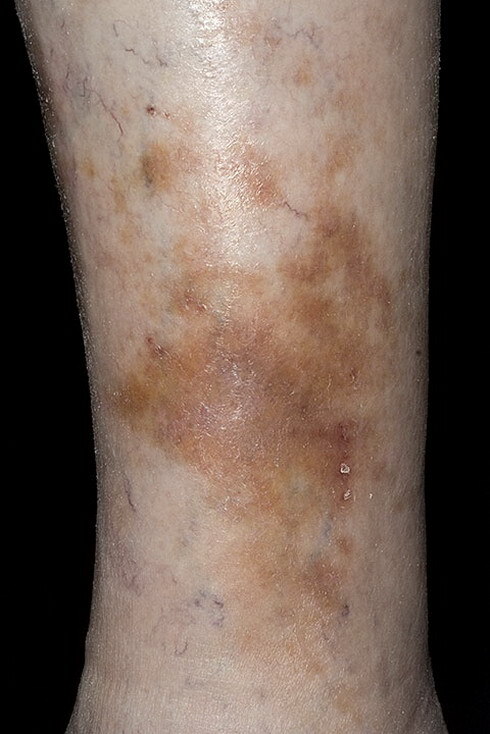 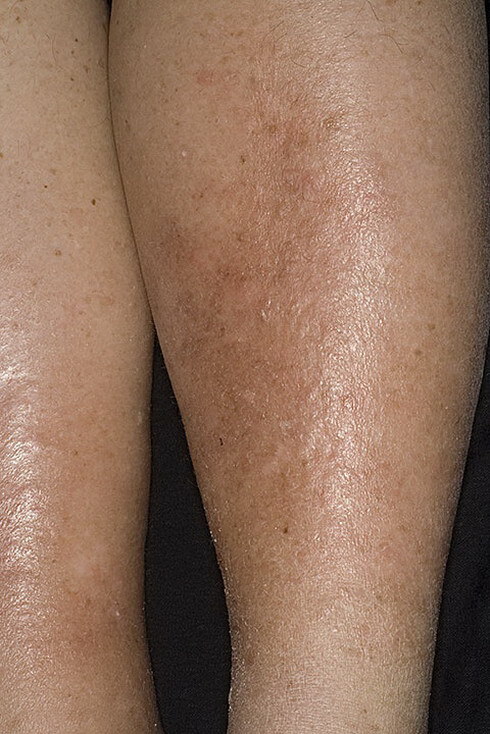 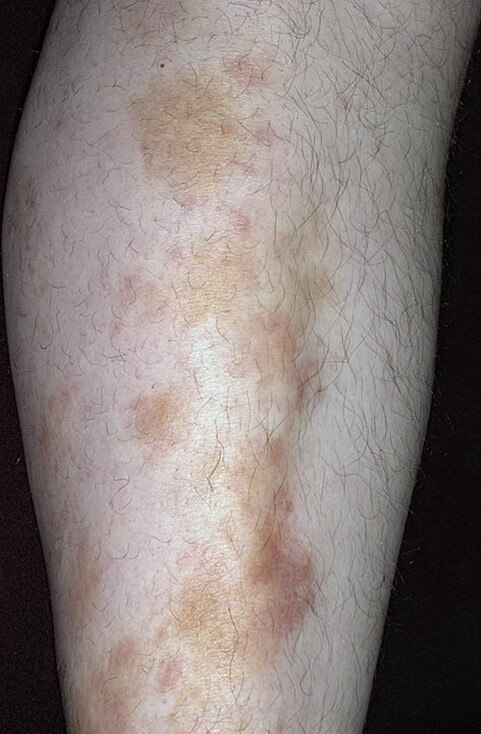 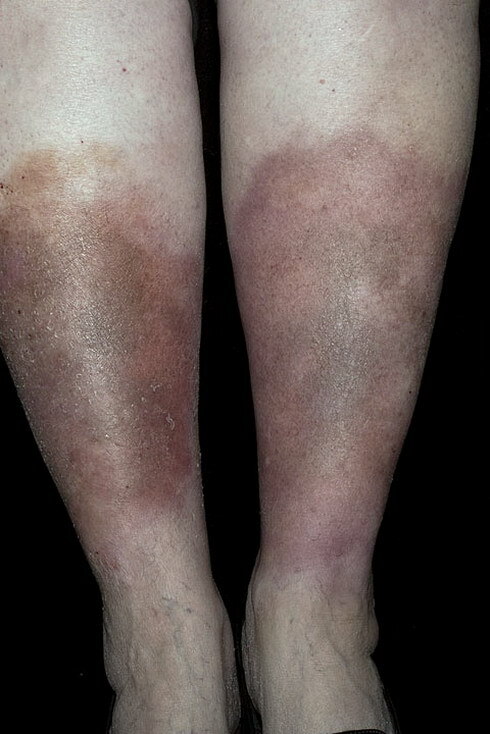 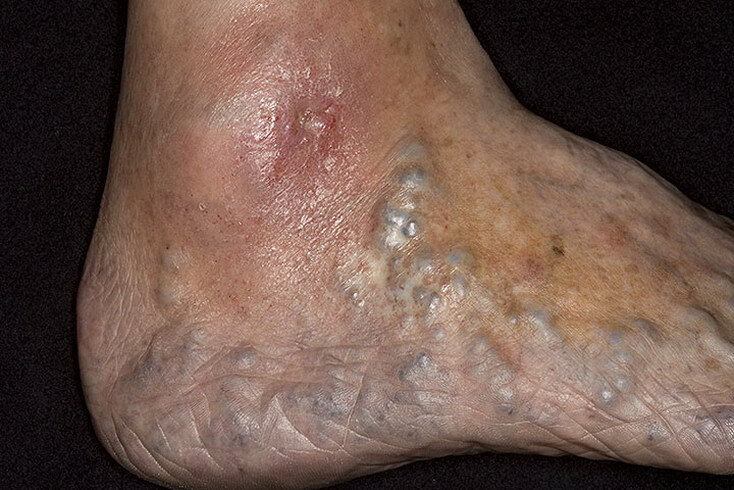 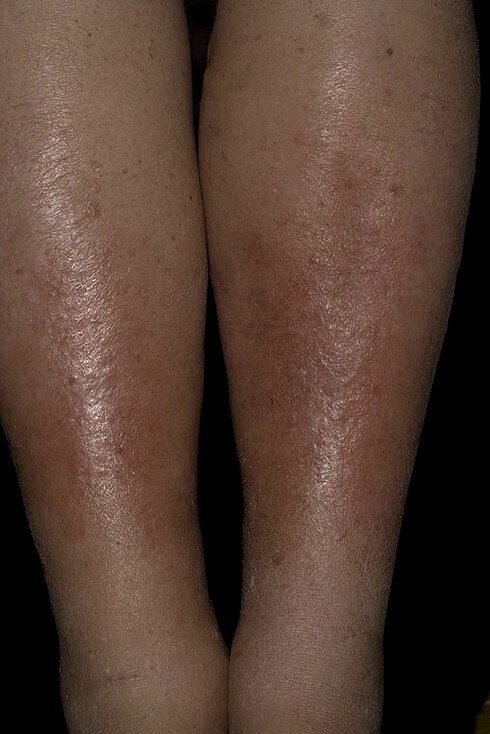 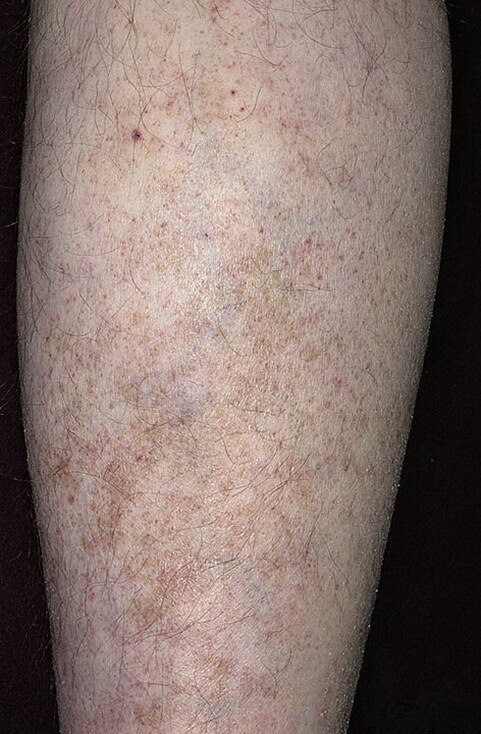 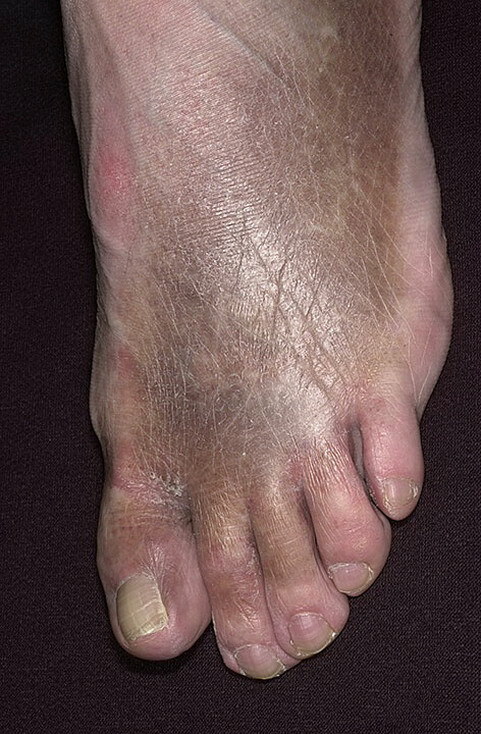 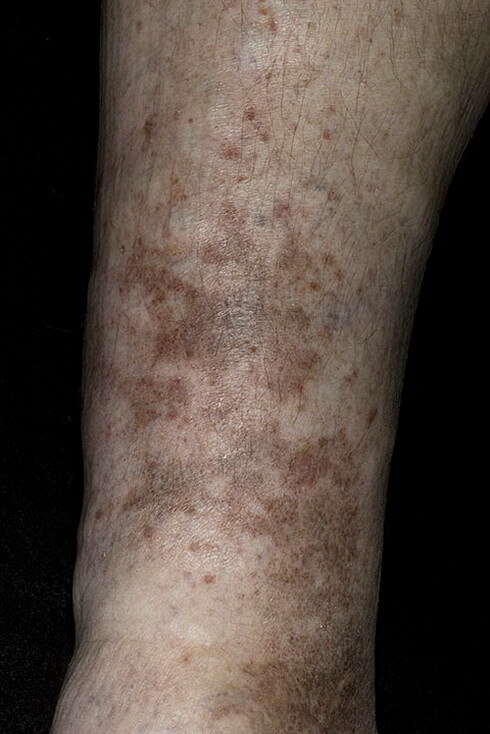 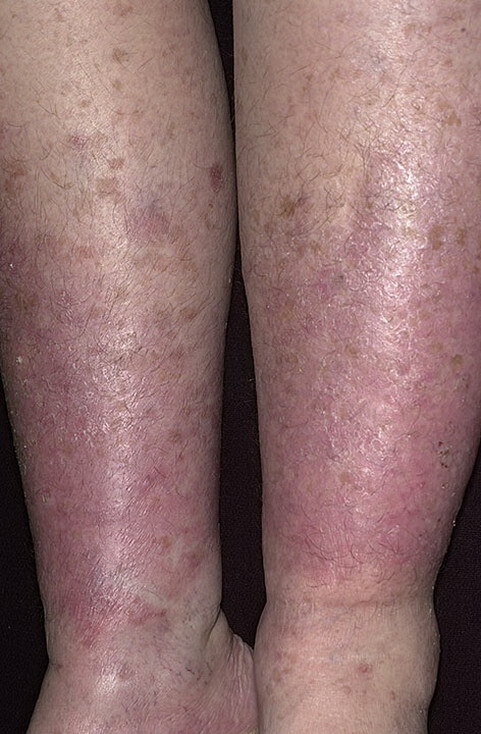 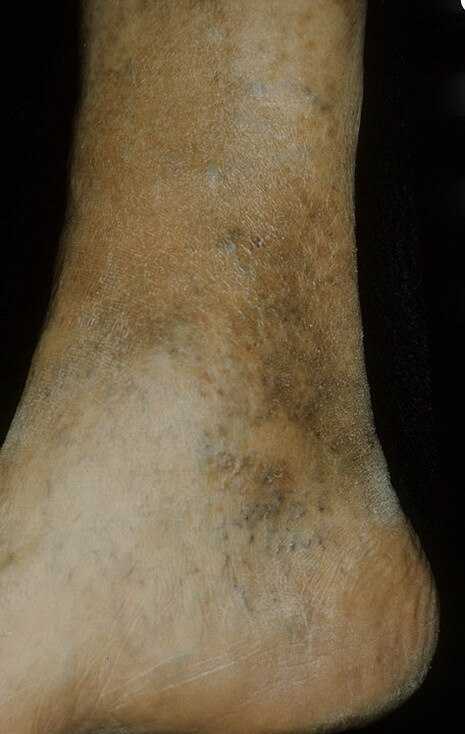 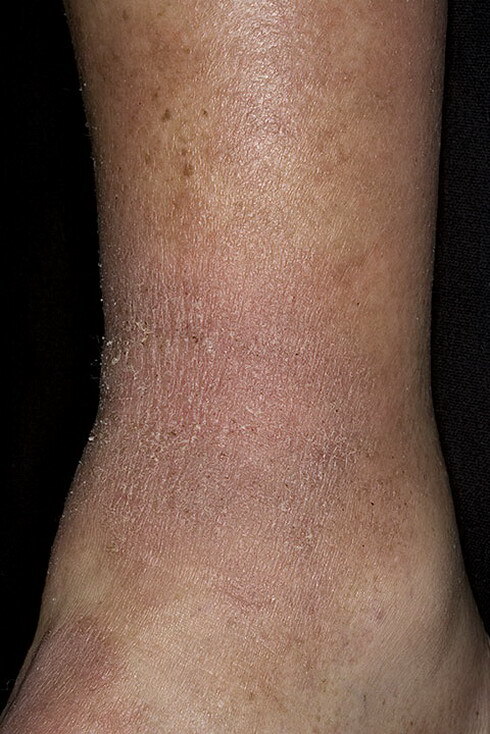 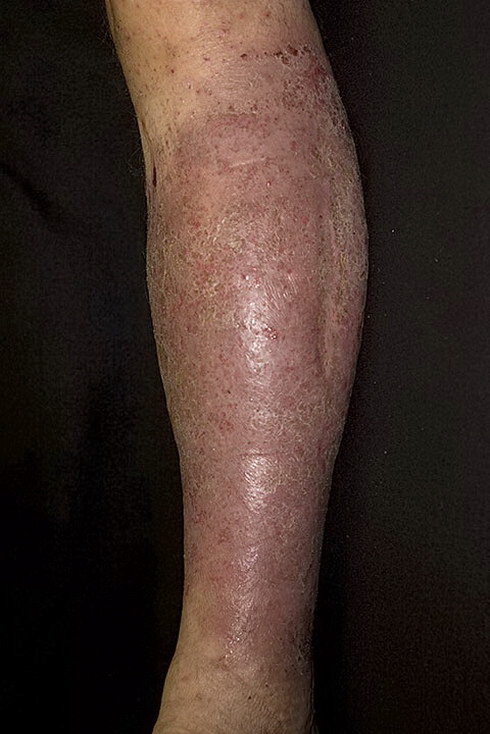 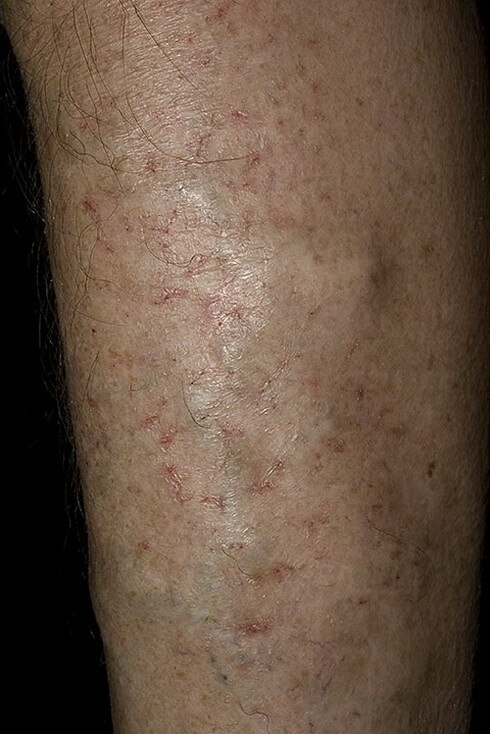 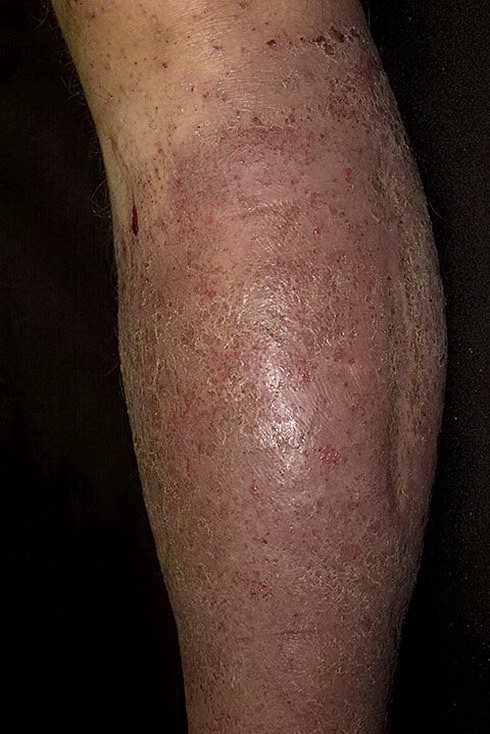 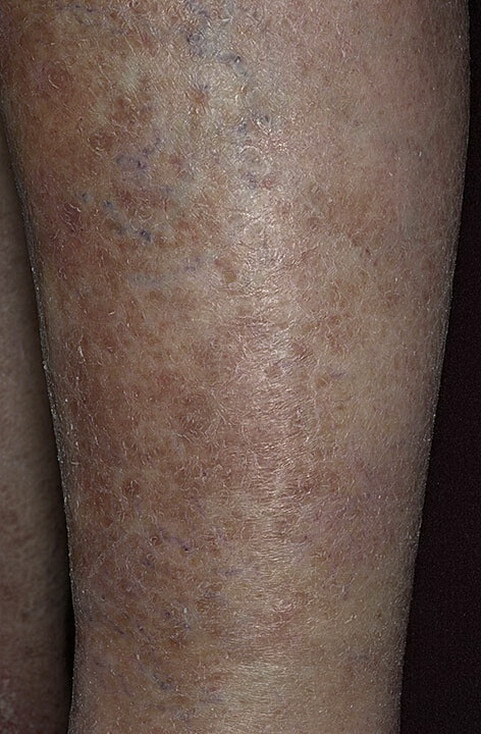 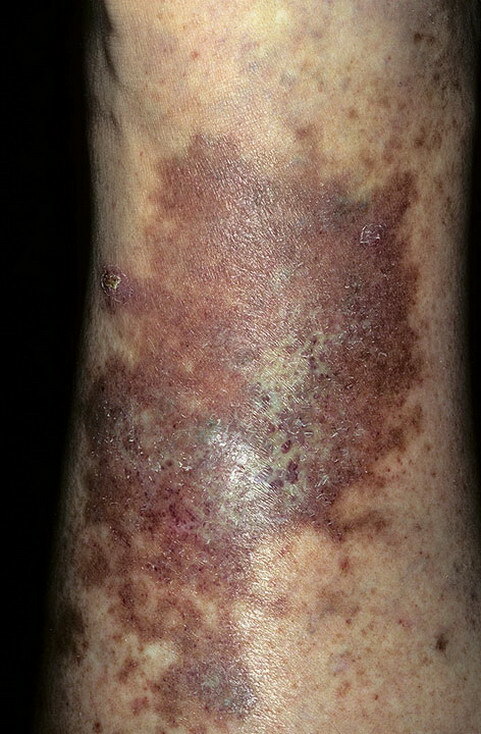 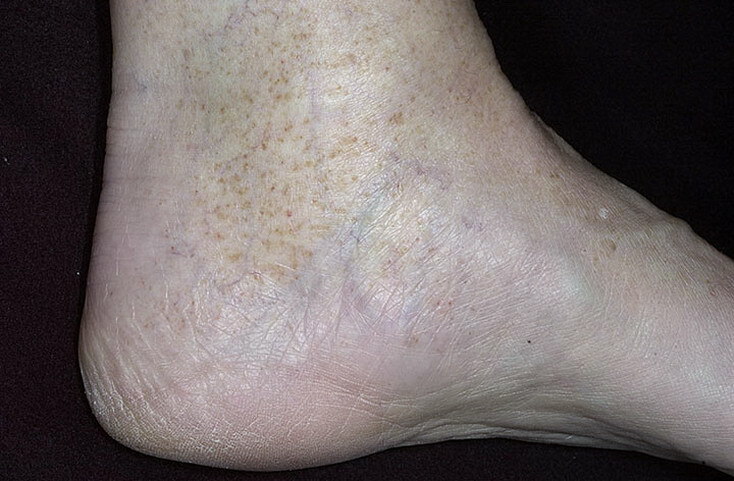 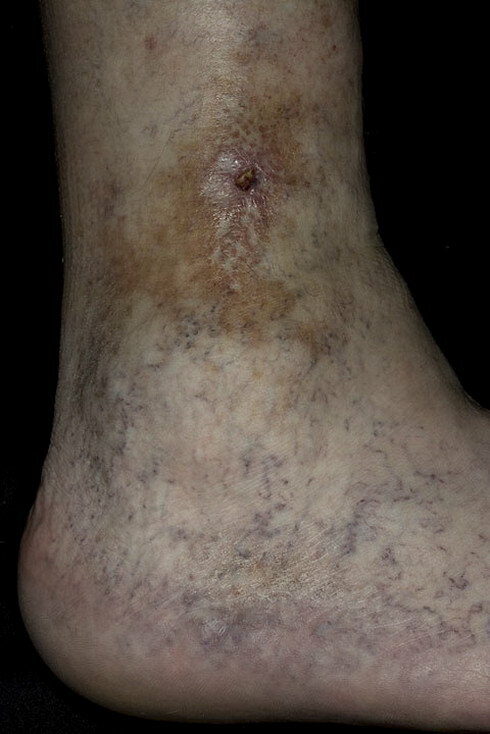 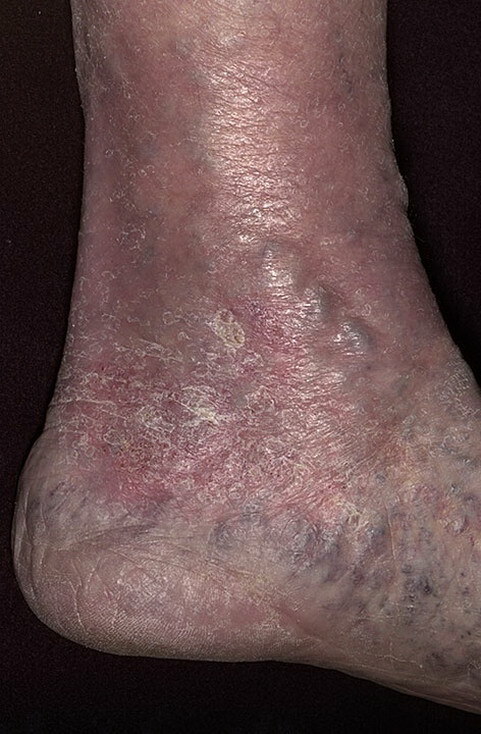 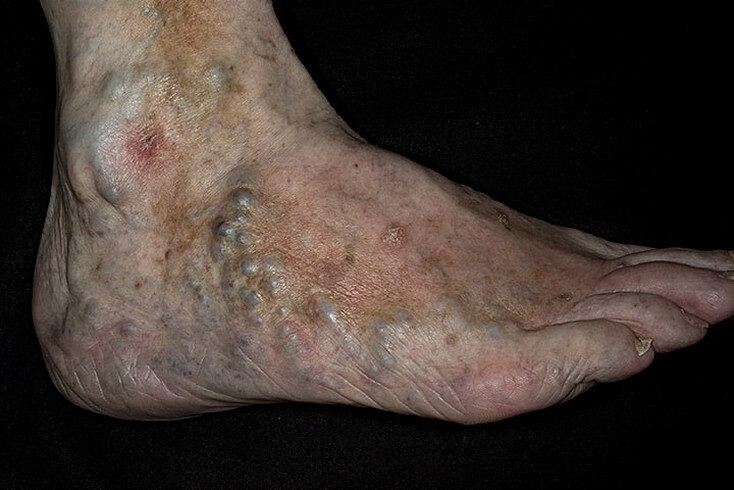 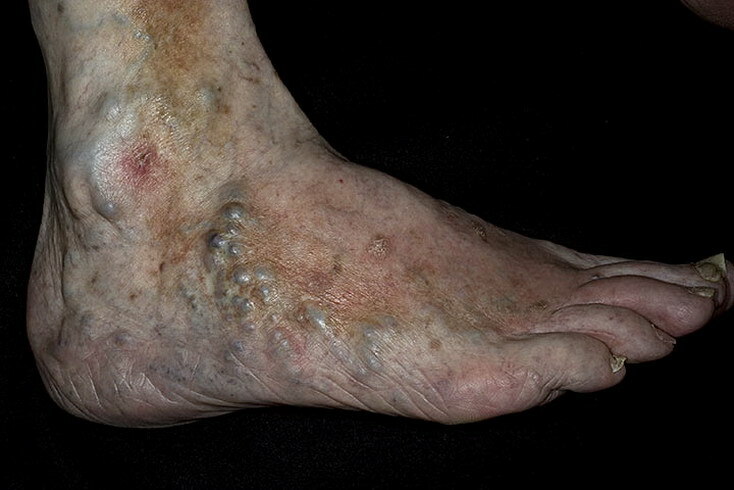 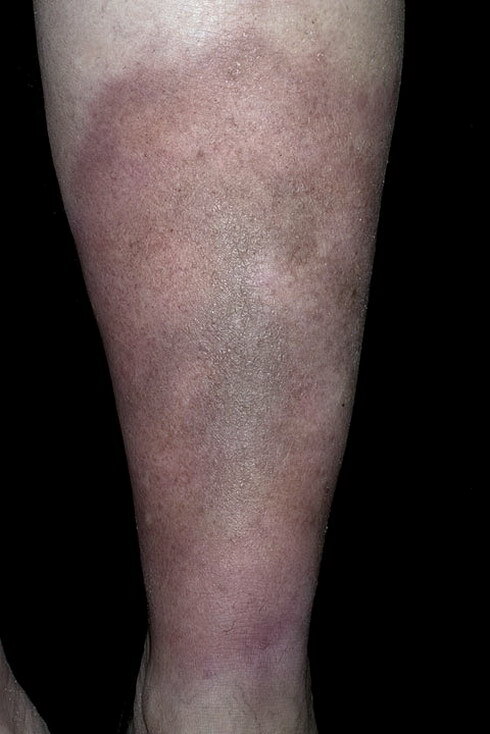 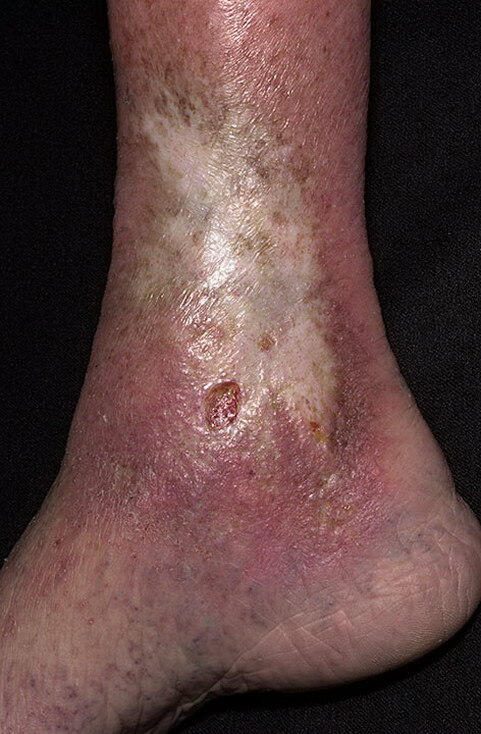 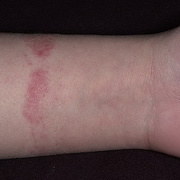 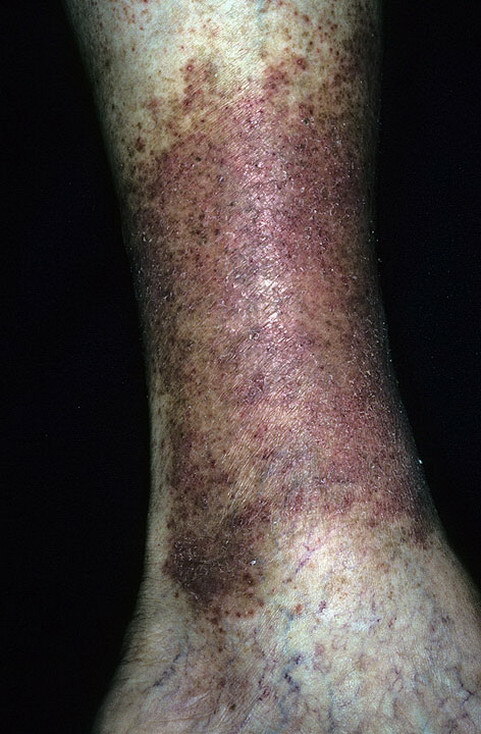 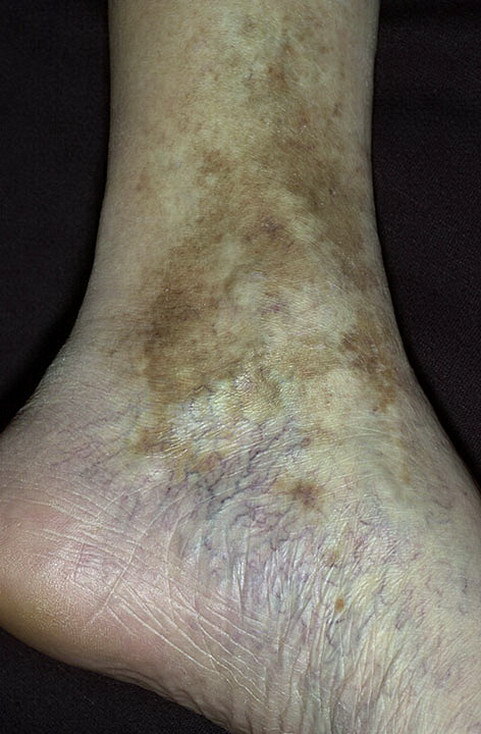 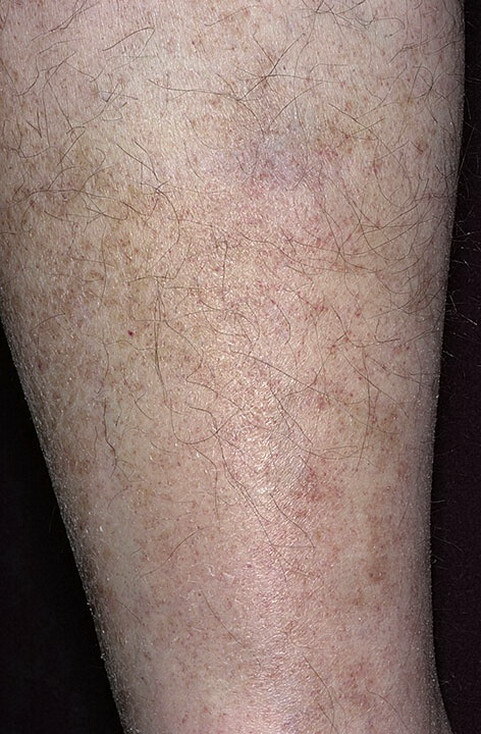 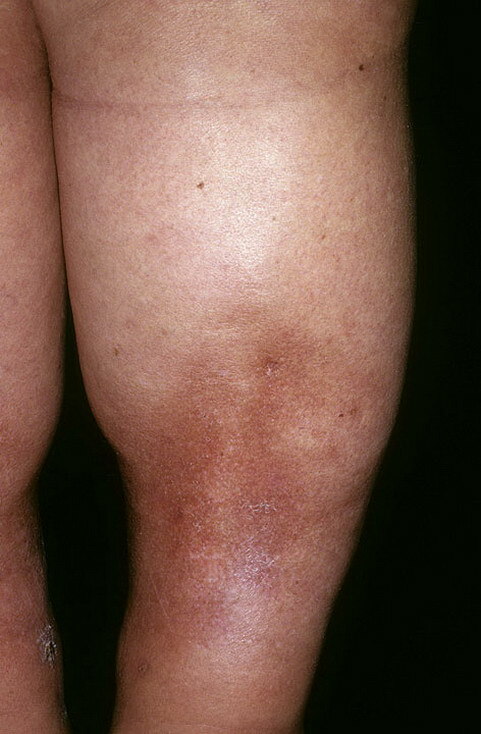 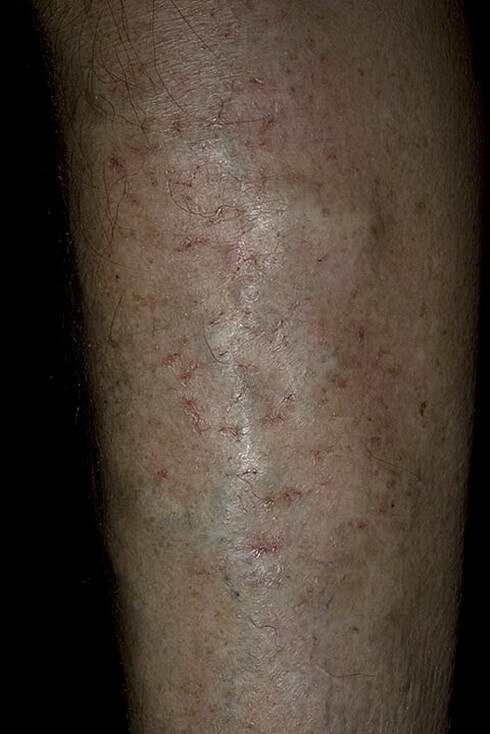 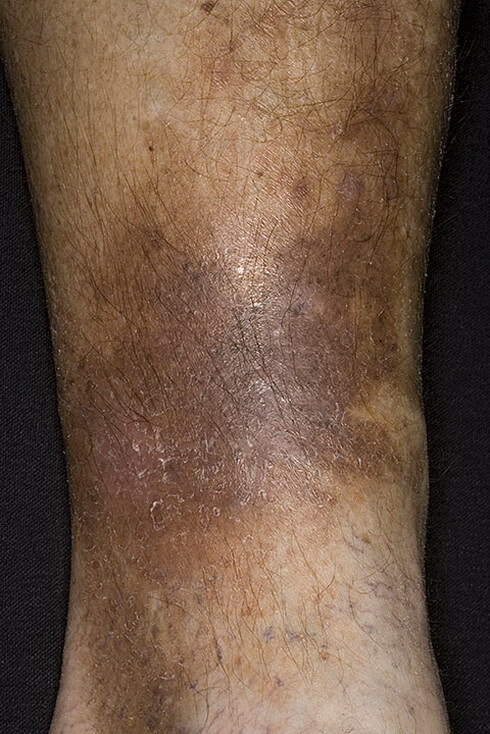 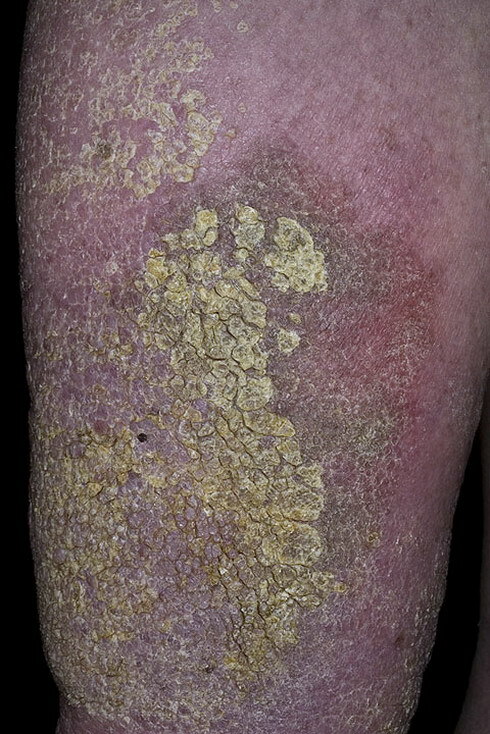 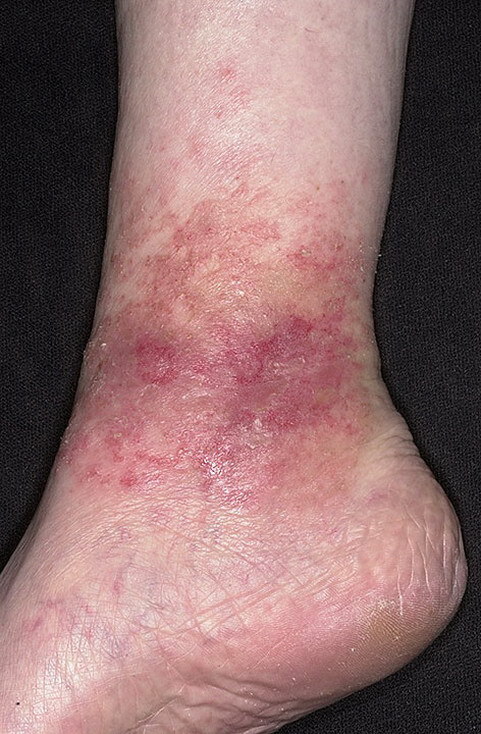 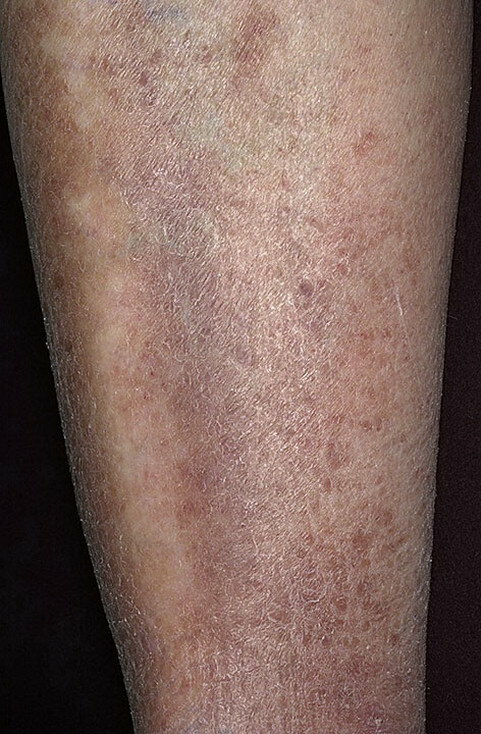 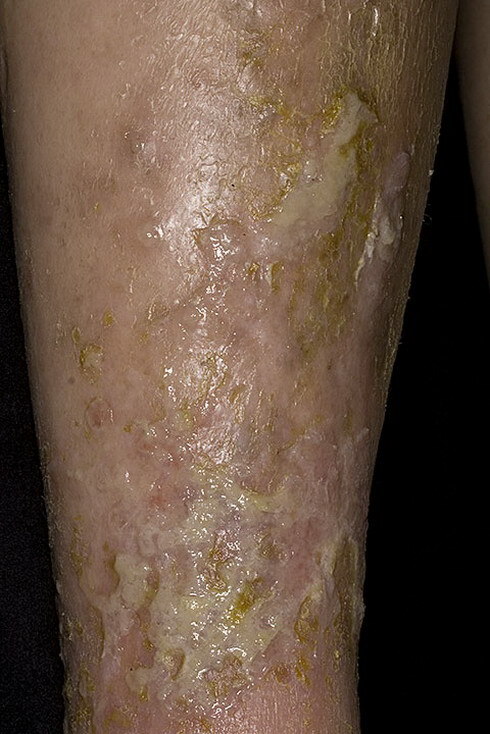 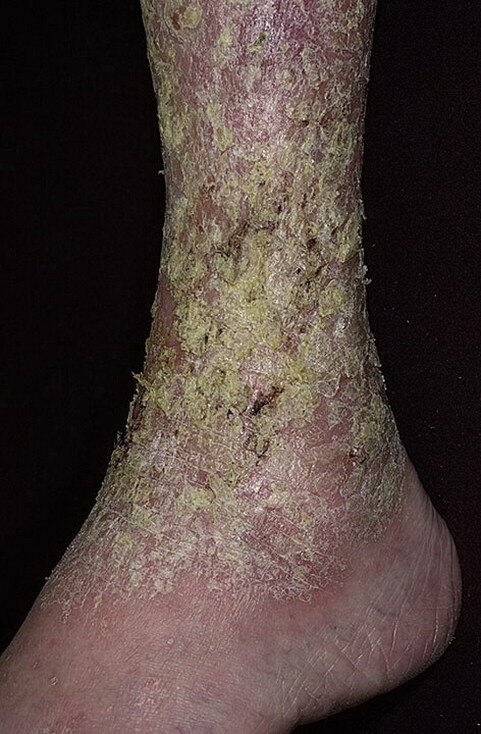 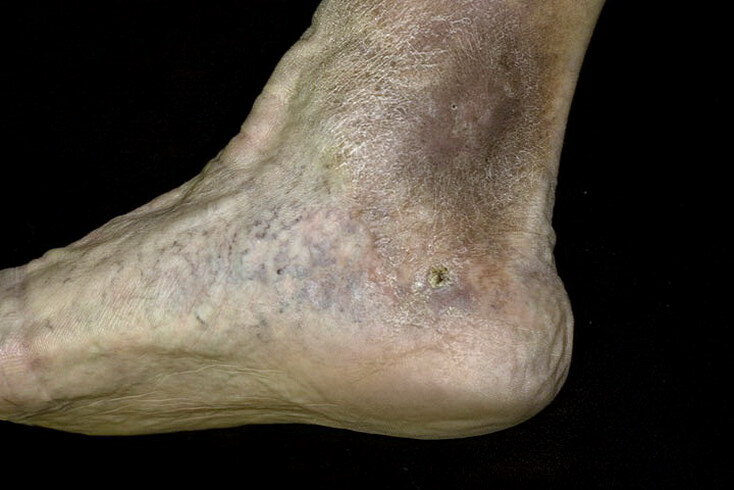 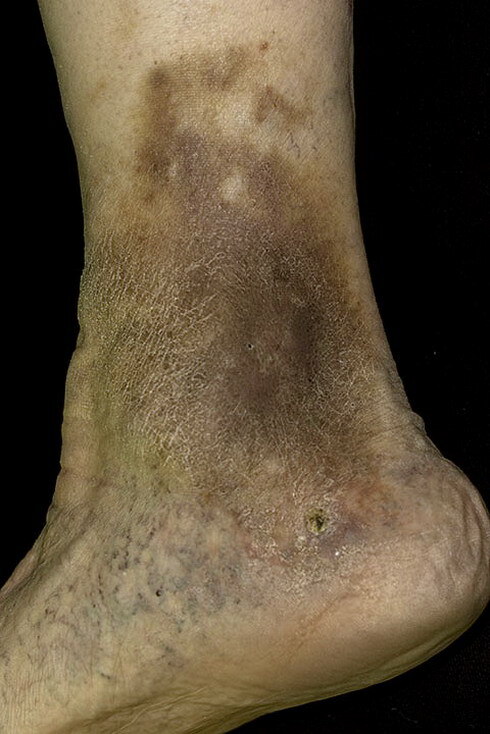 Edema - Stasis dermatitis patients may offer a prior history of dependent leg edema. 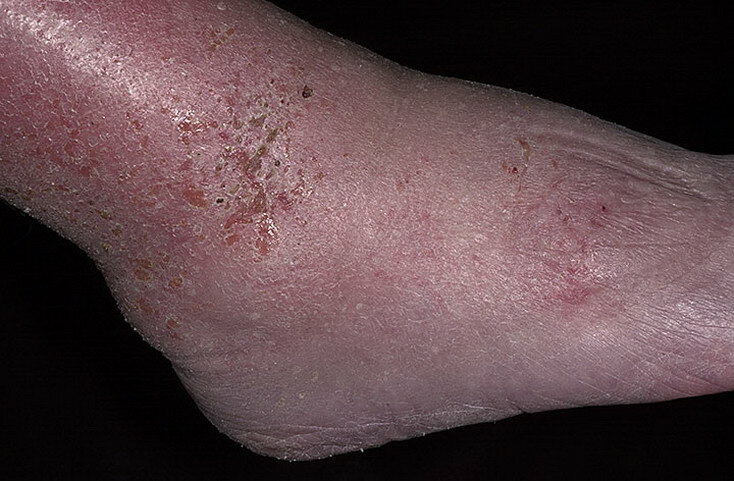 Physical examination in stasis dermatitis patients reveals erythematous, scaling, and eczematous patches affecting the lower extremity. 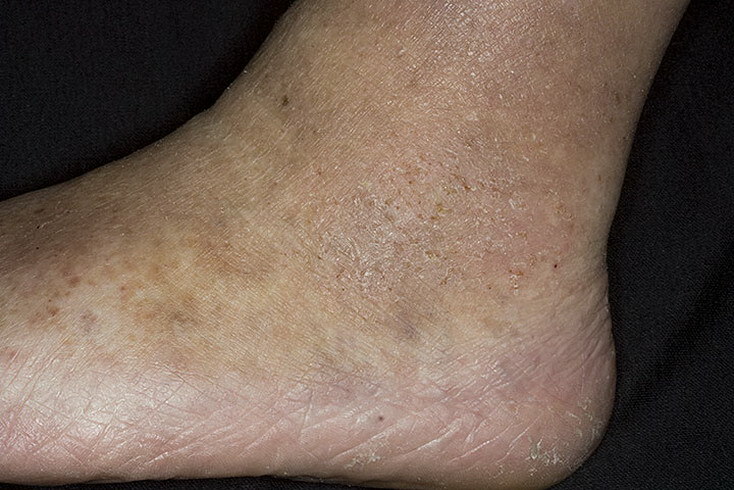 The medial ankle is most frequently and severely involved, a result of the fact that it represents a watershed area with relatively poor blood flow compared with the rest of the leg. 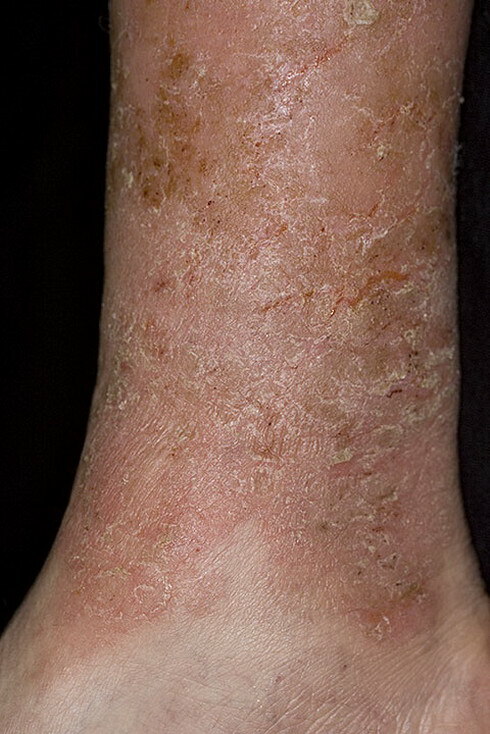 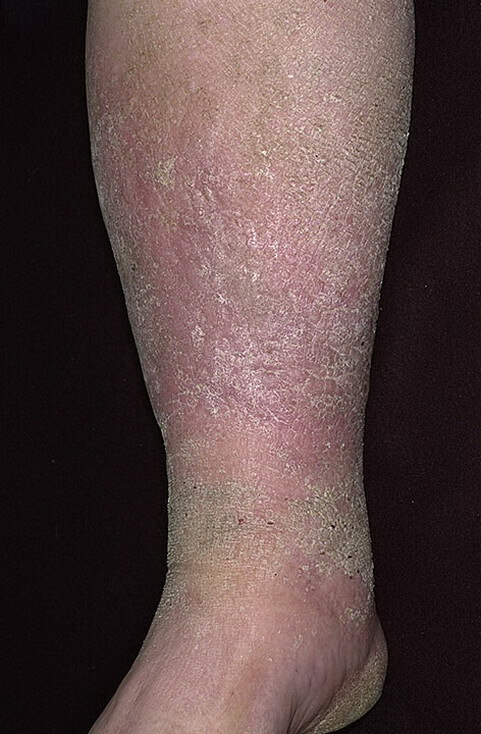 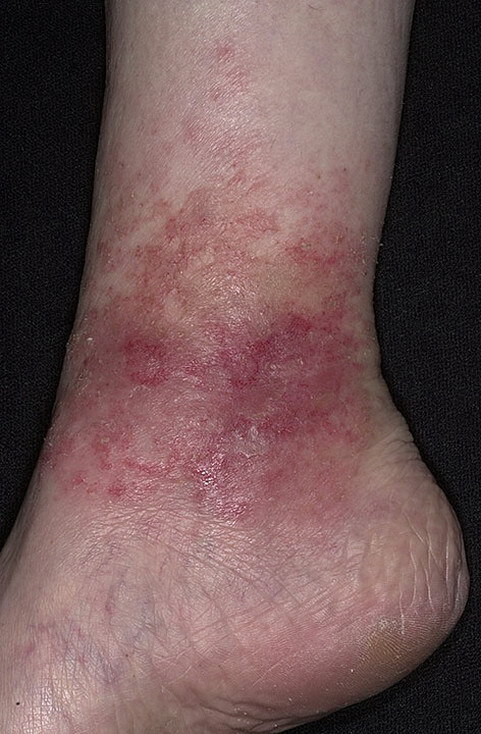 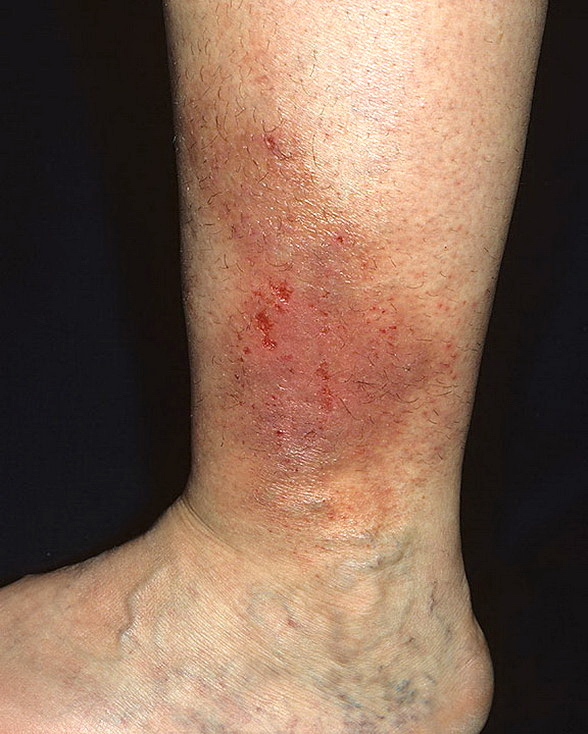 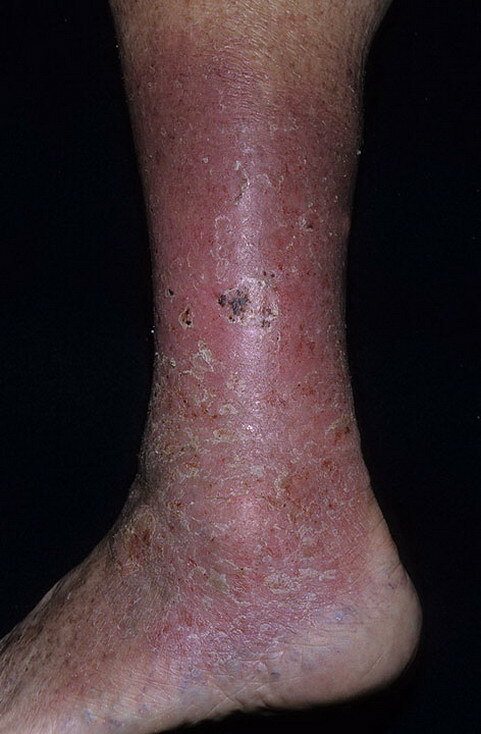 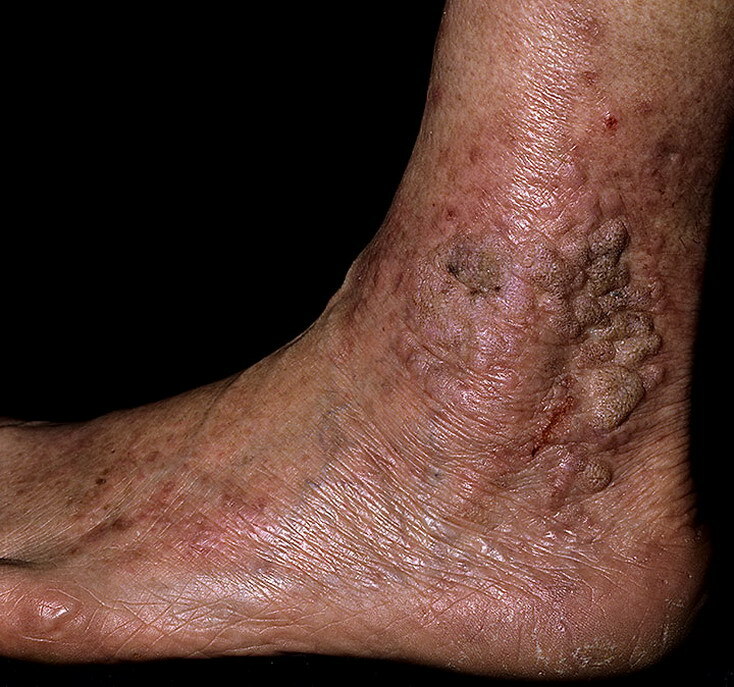 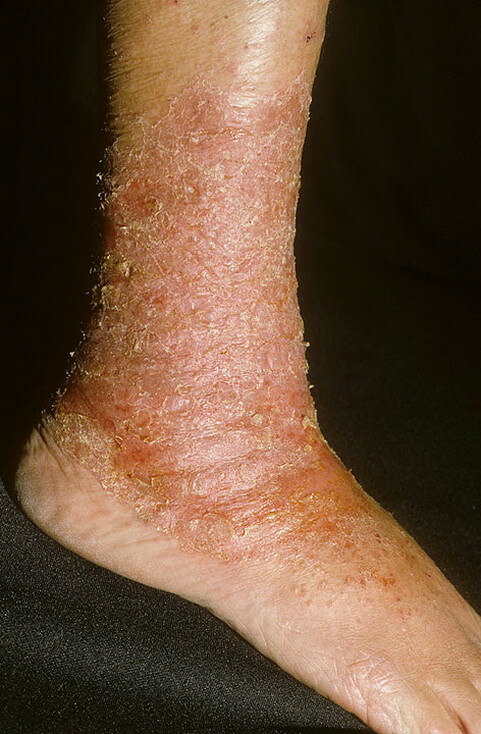 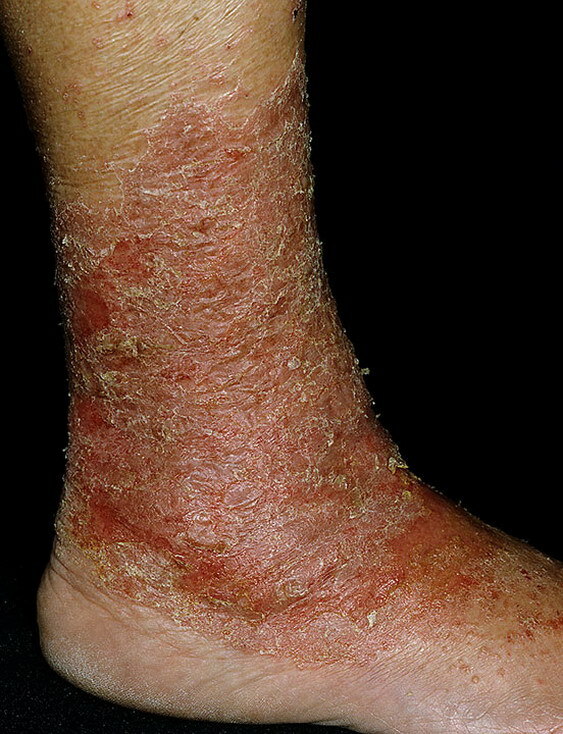 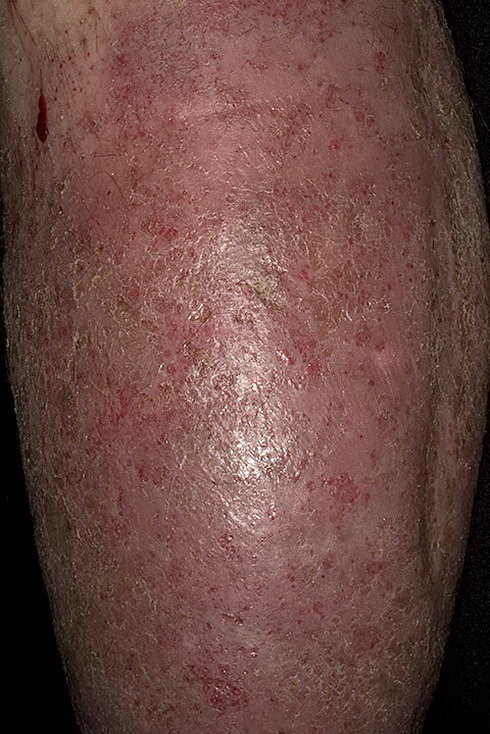 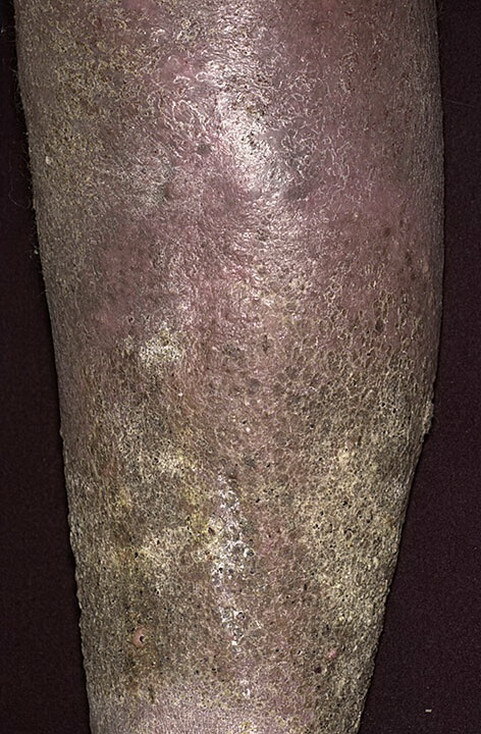 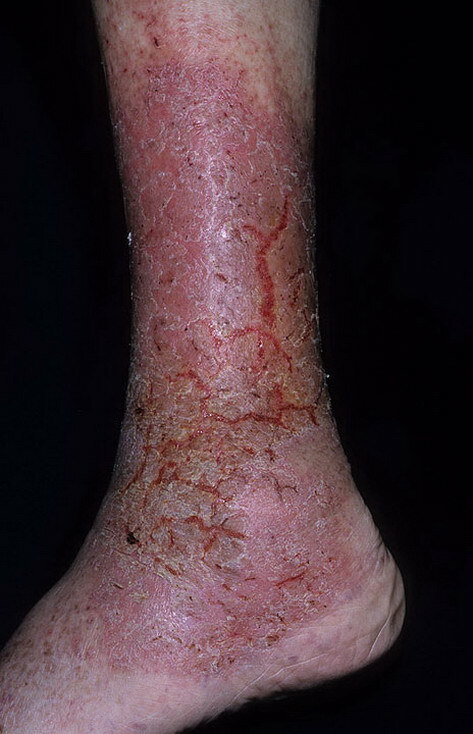 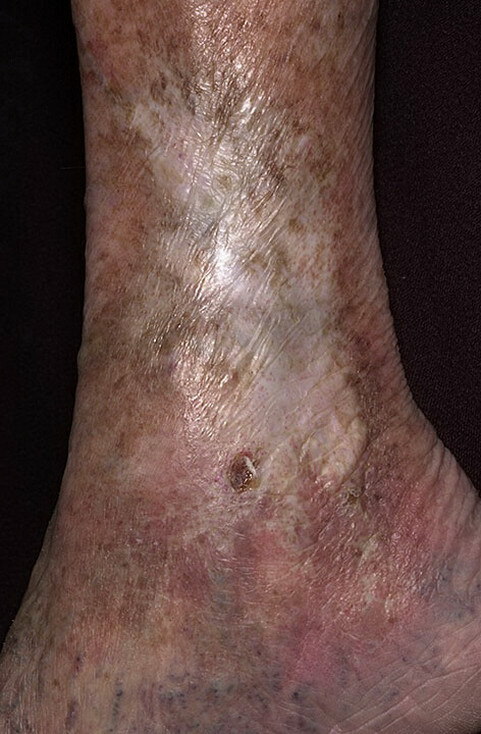 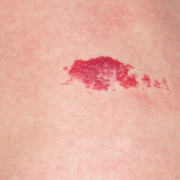 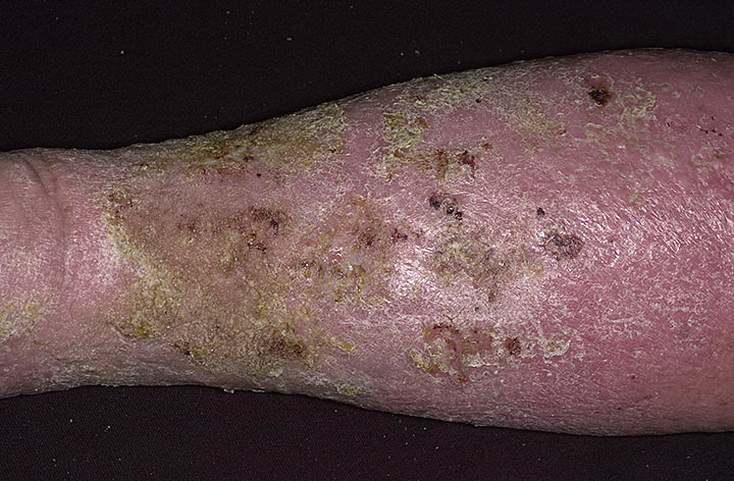 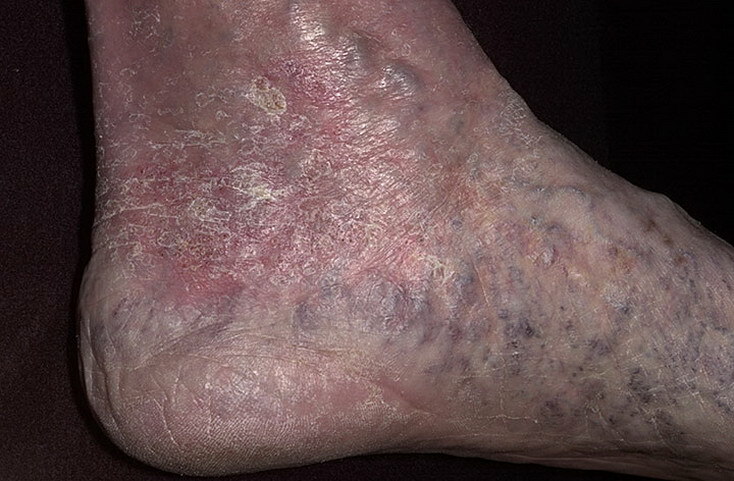 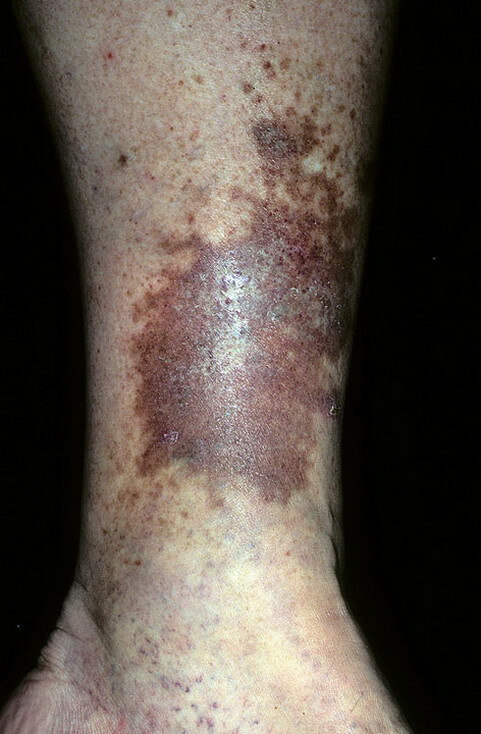 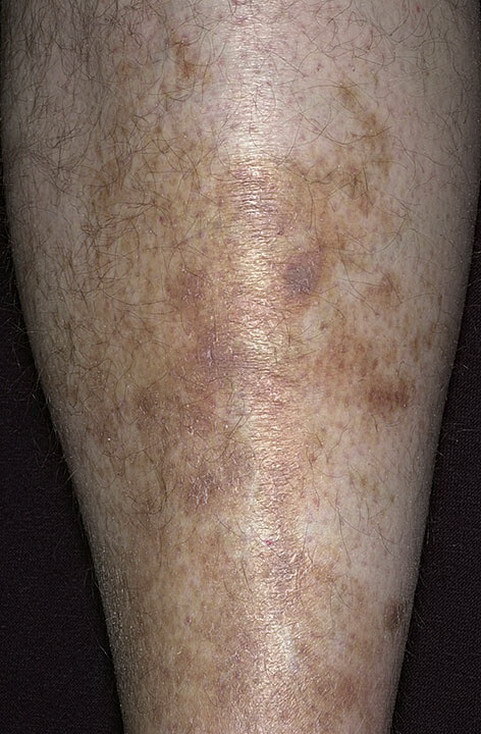 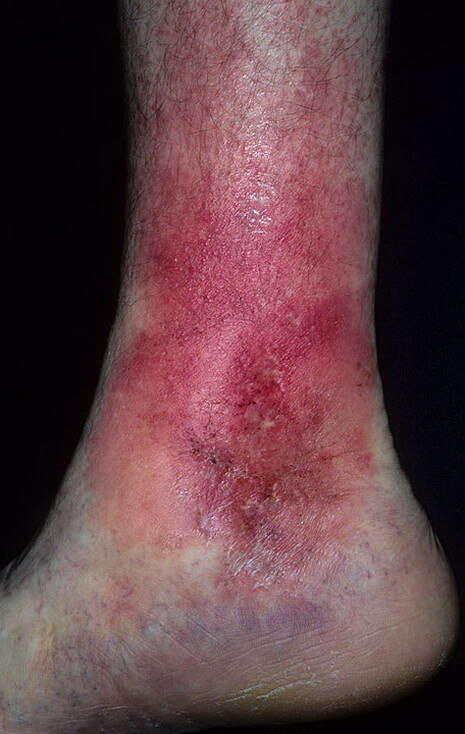 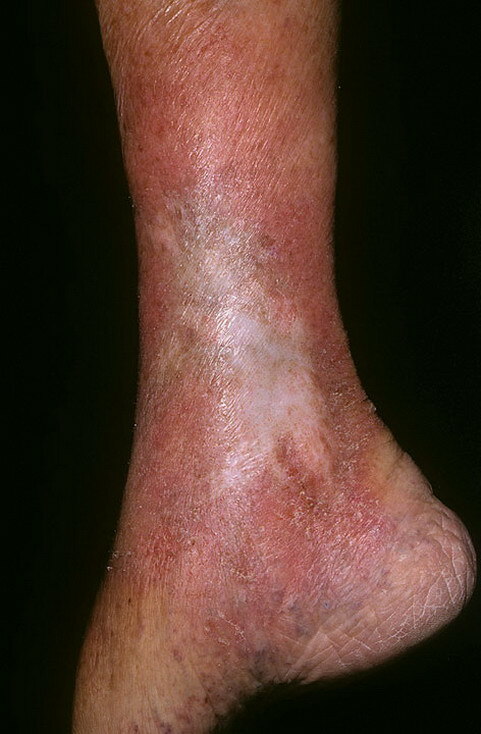 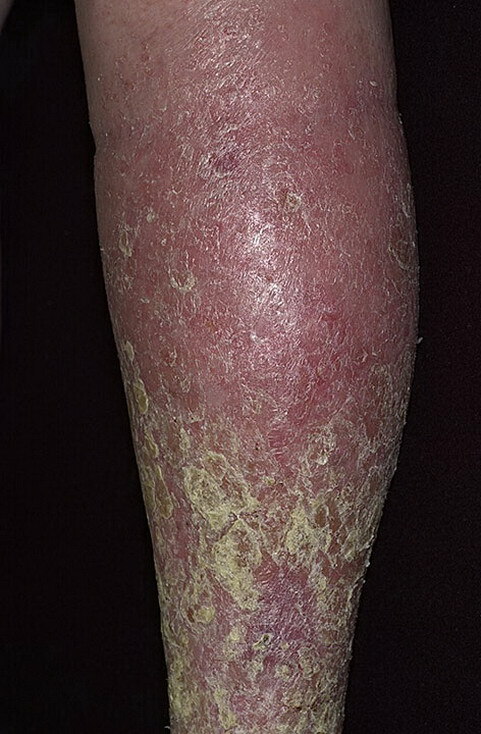 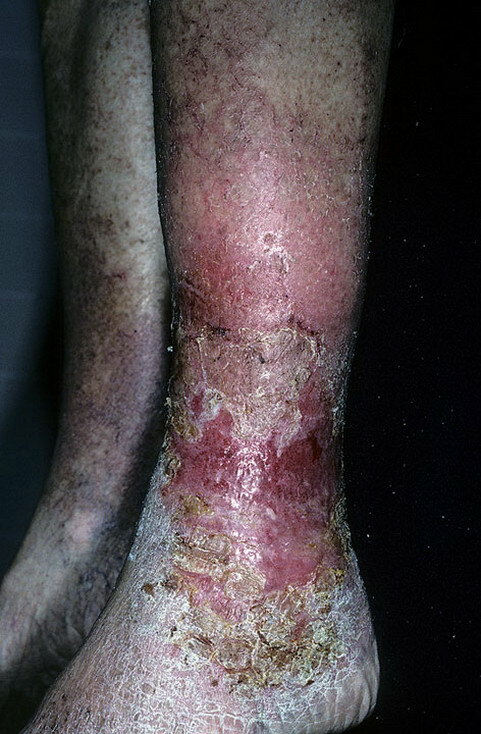 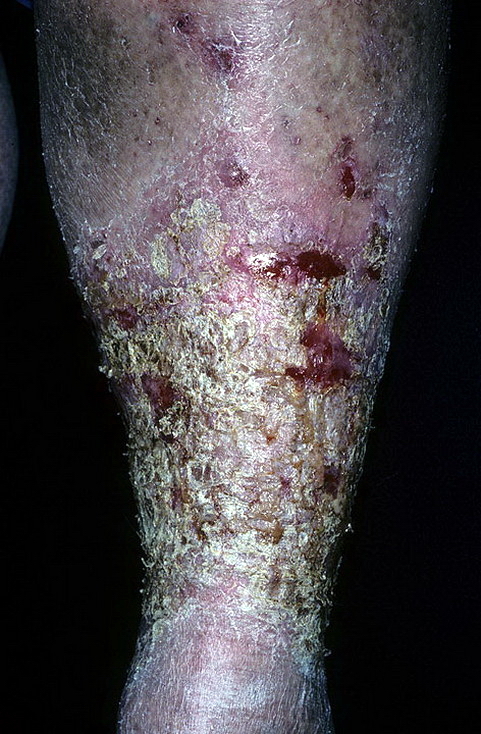 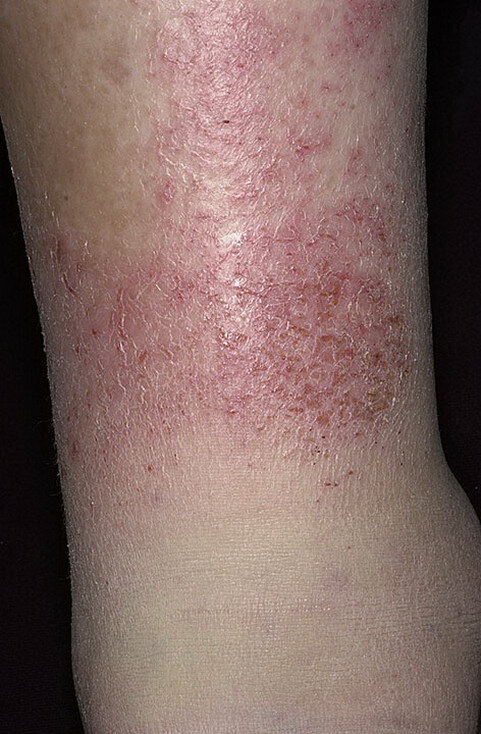 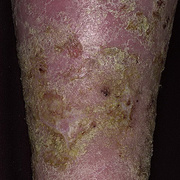 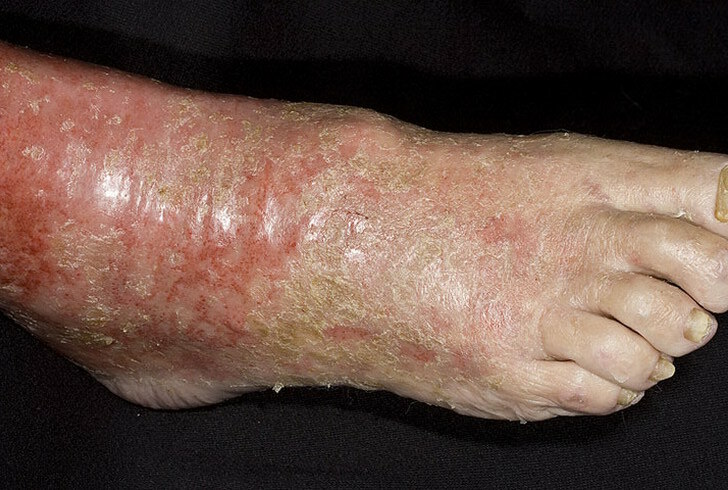 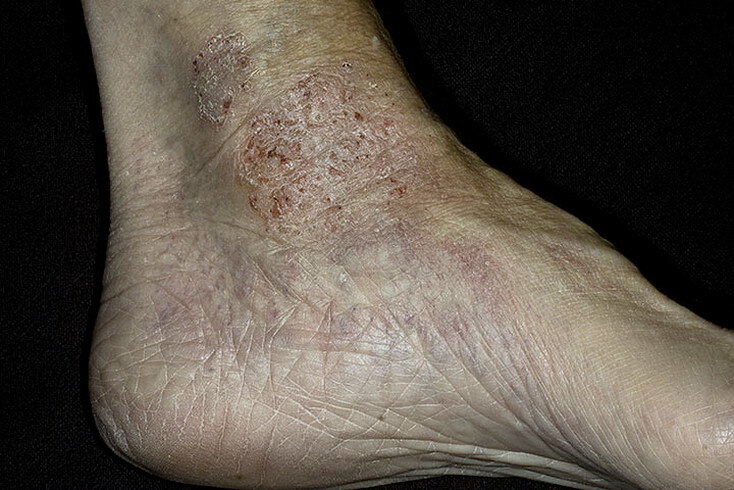 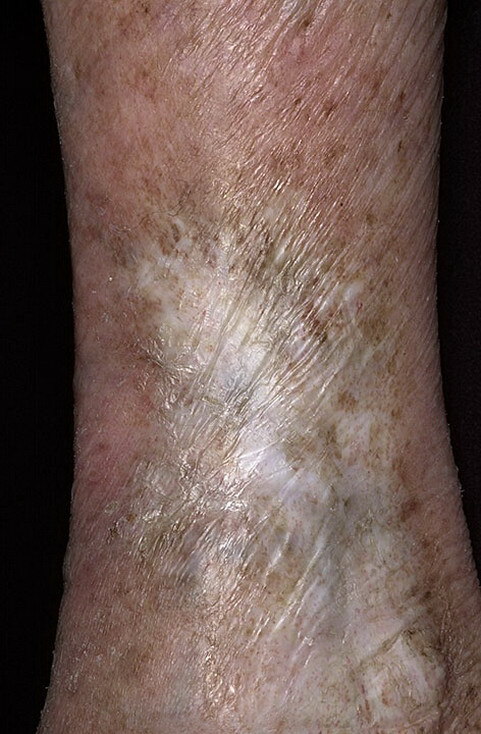 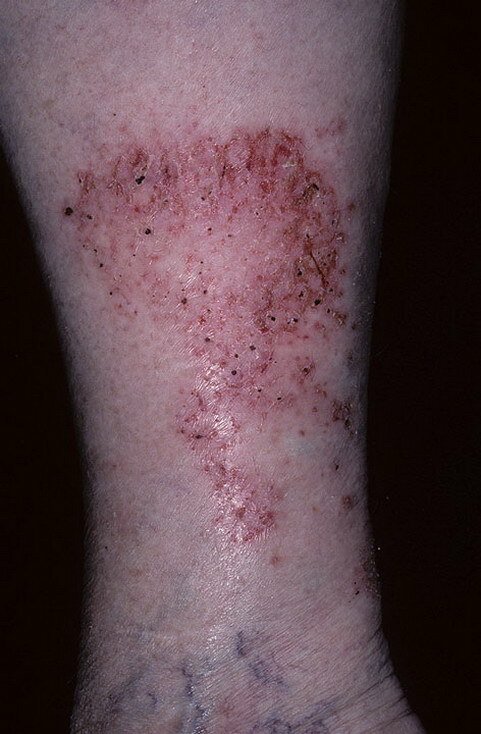 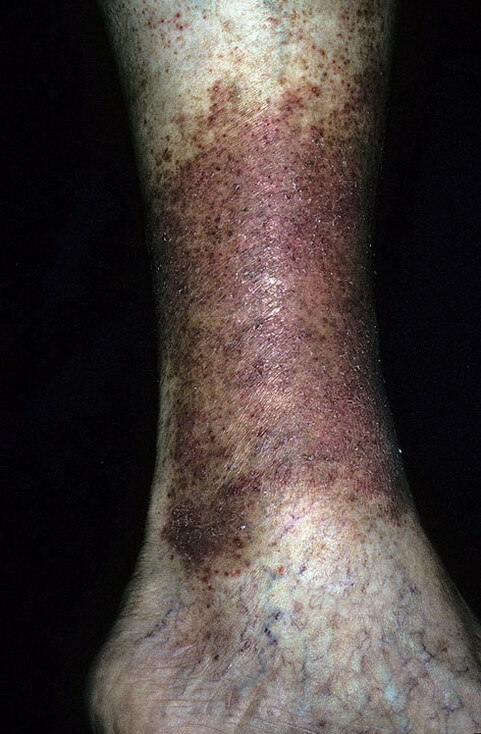 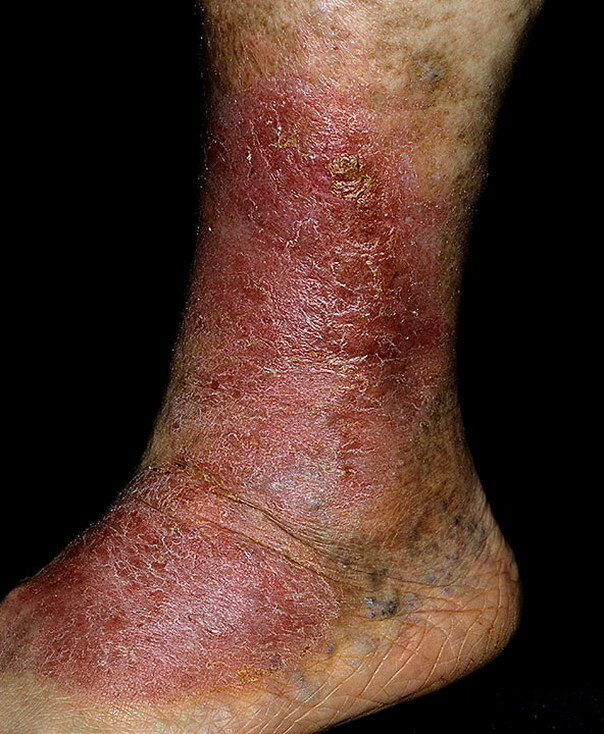 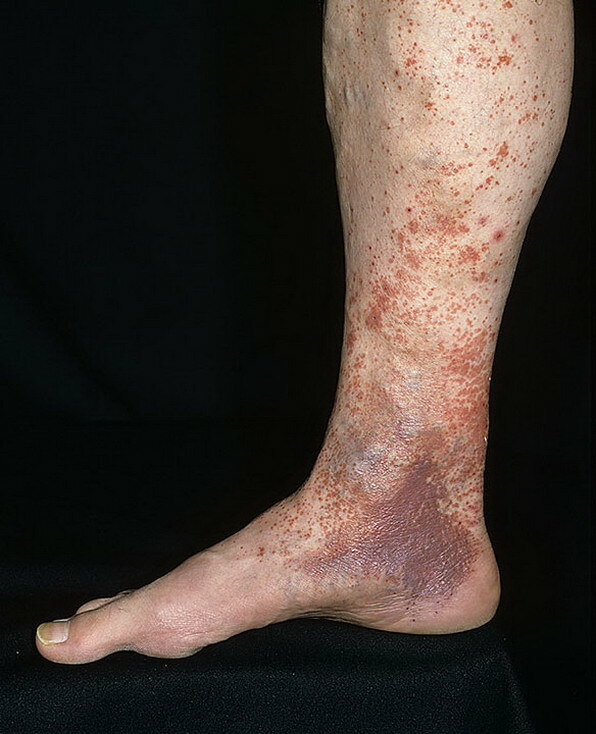 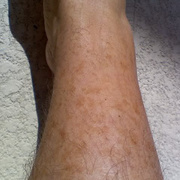 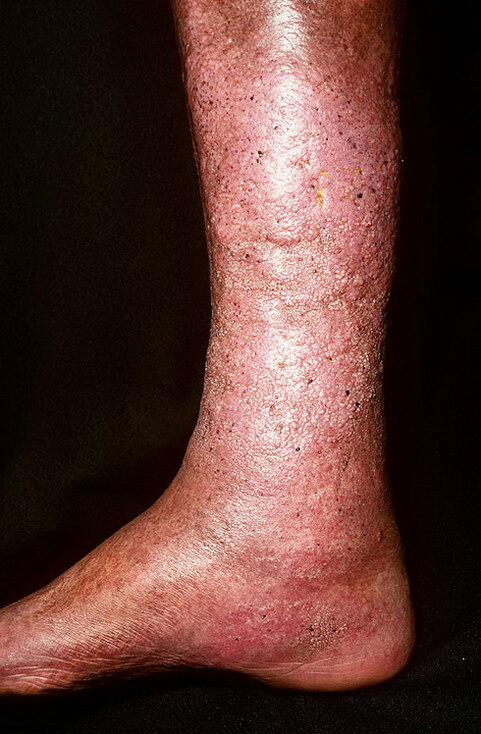 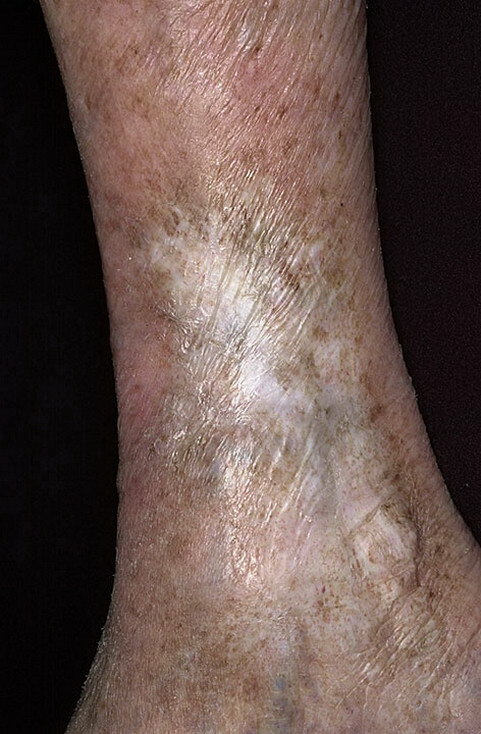 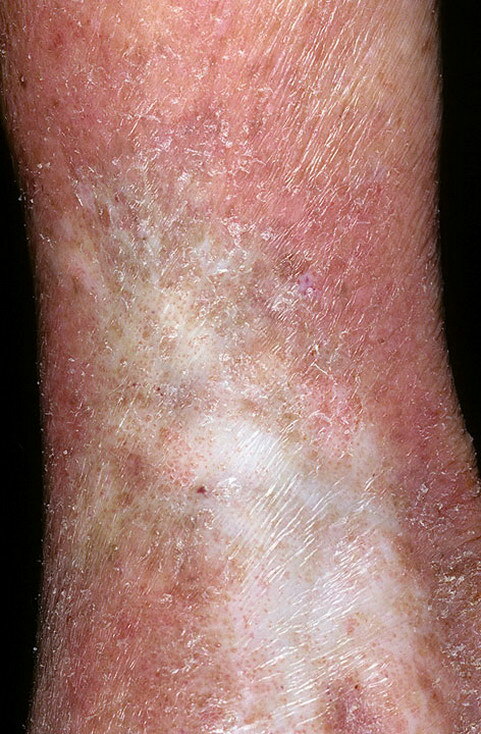 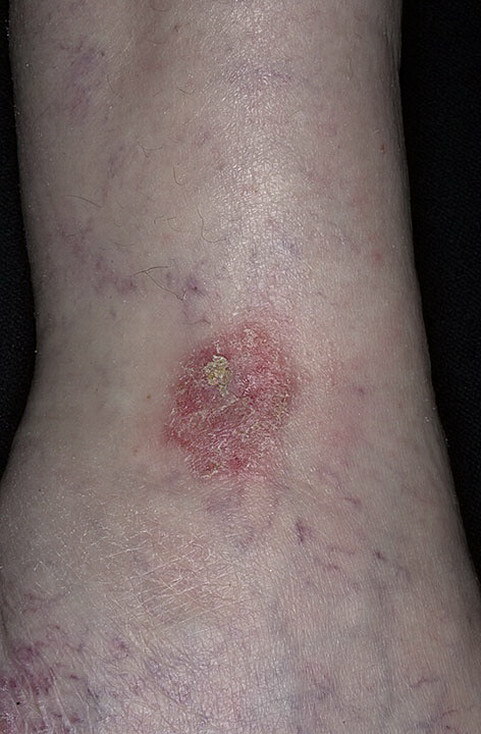 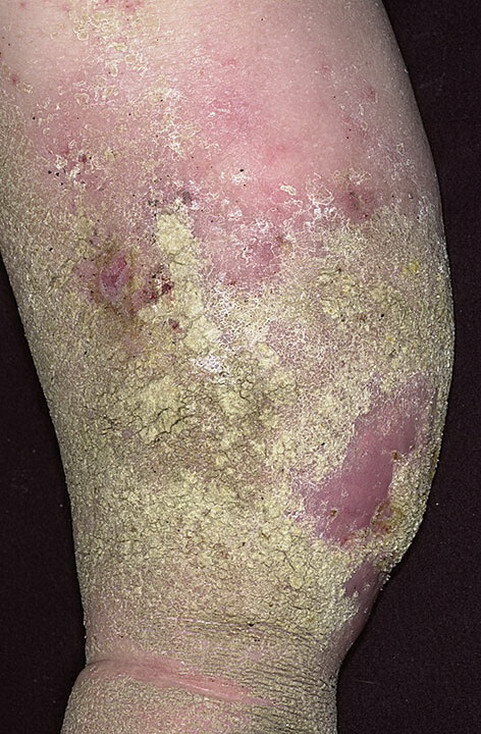 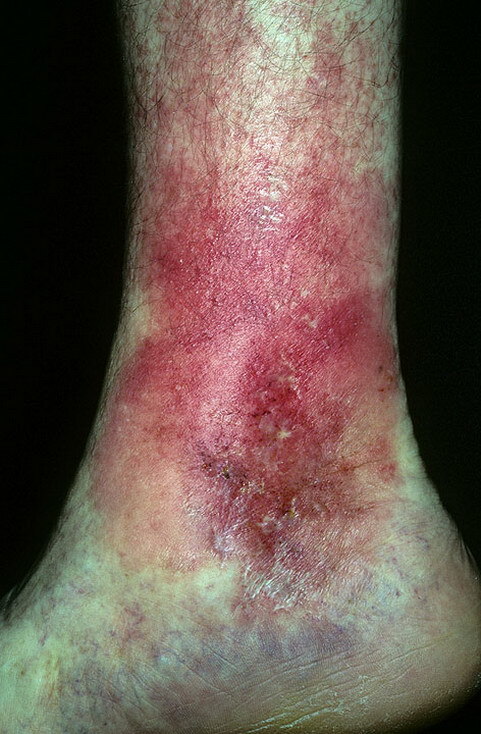 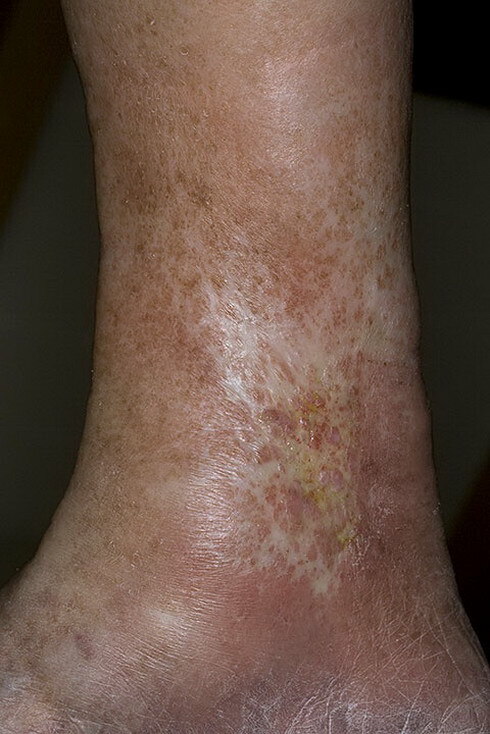 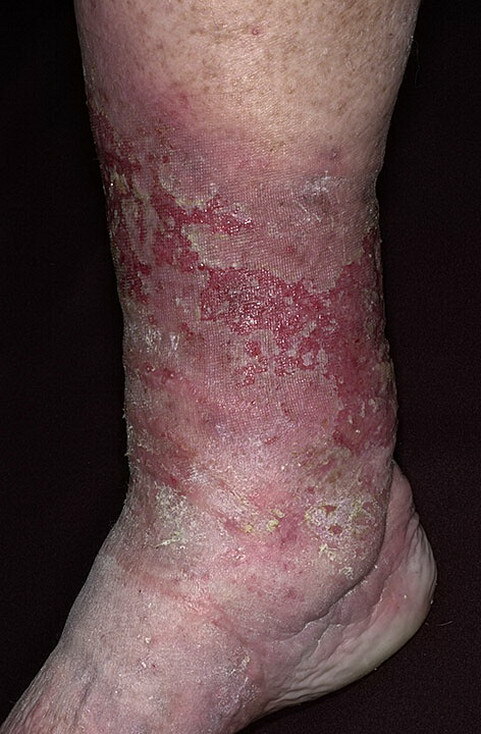 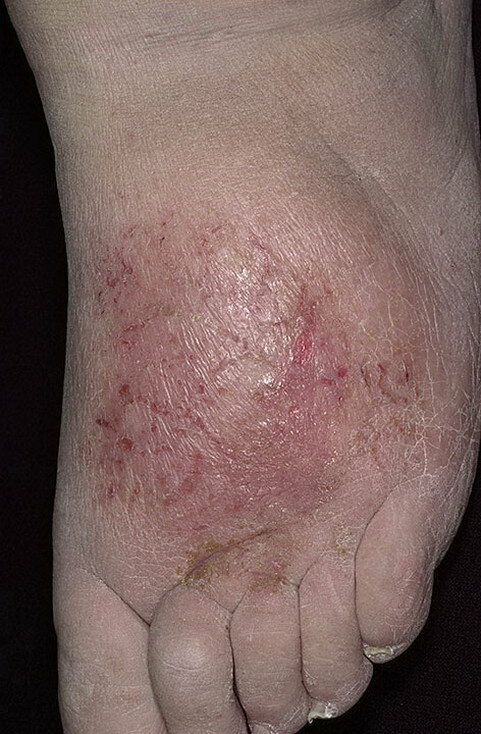 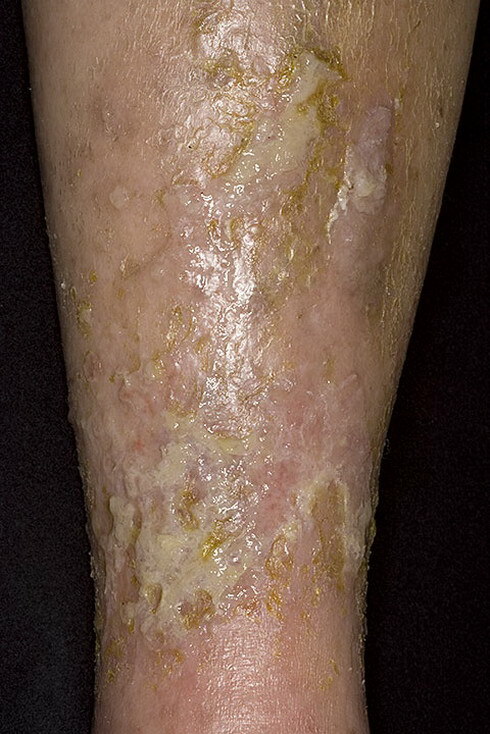 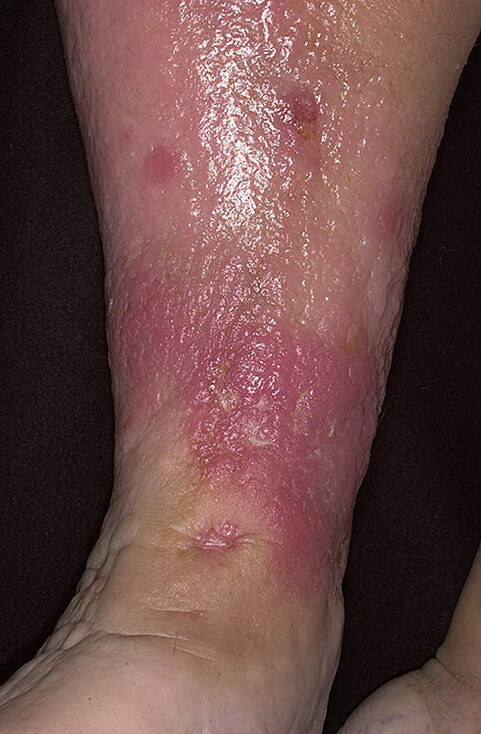 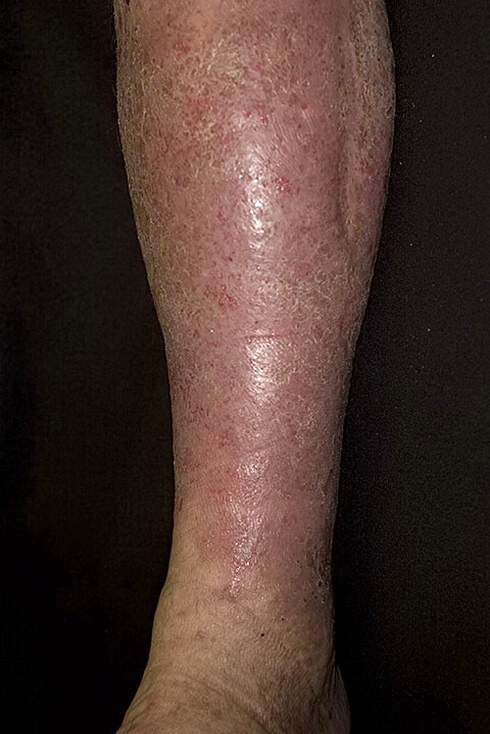 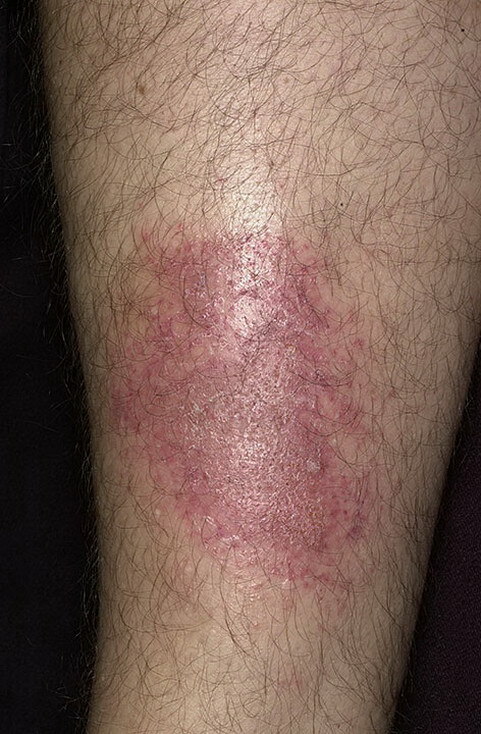 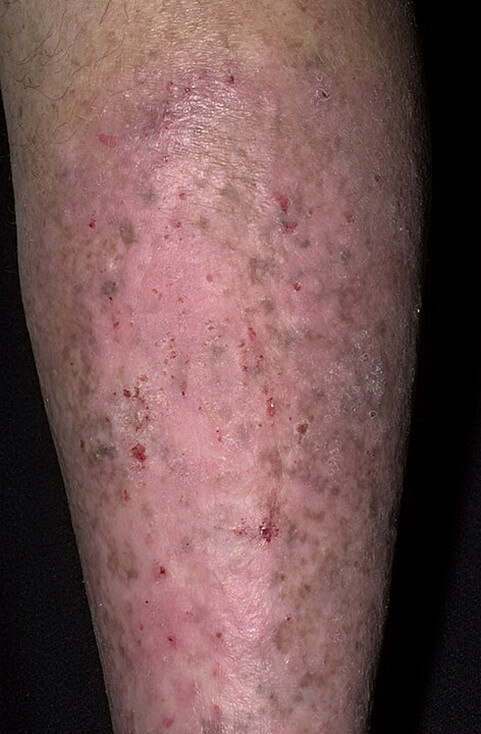 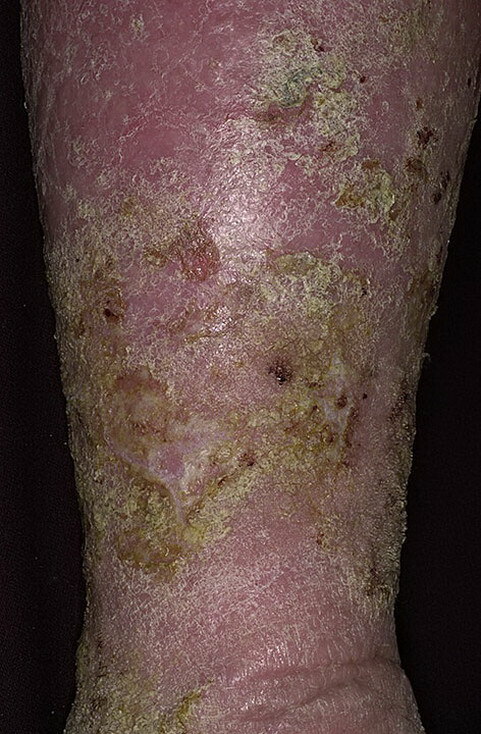 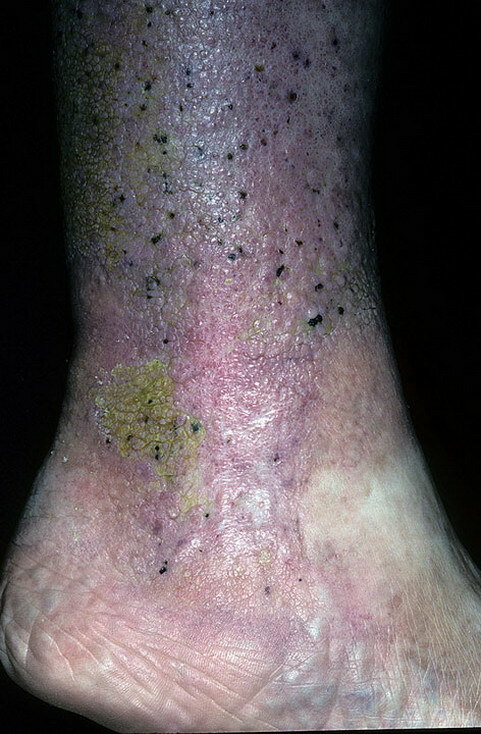 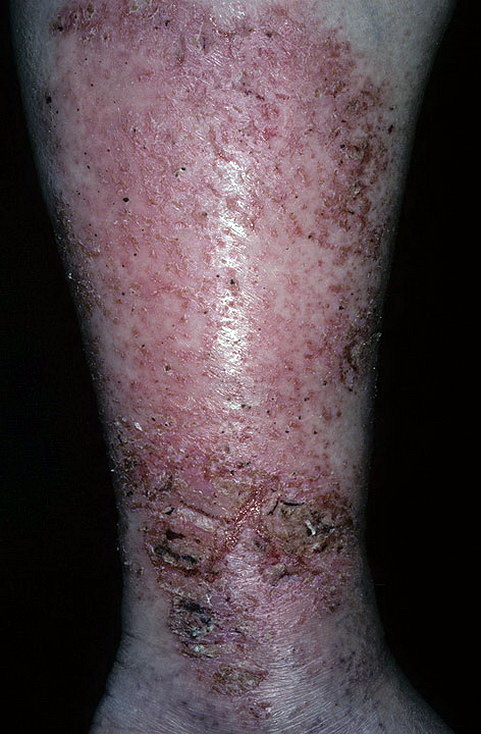 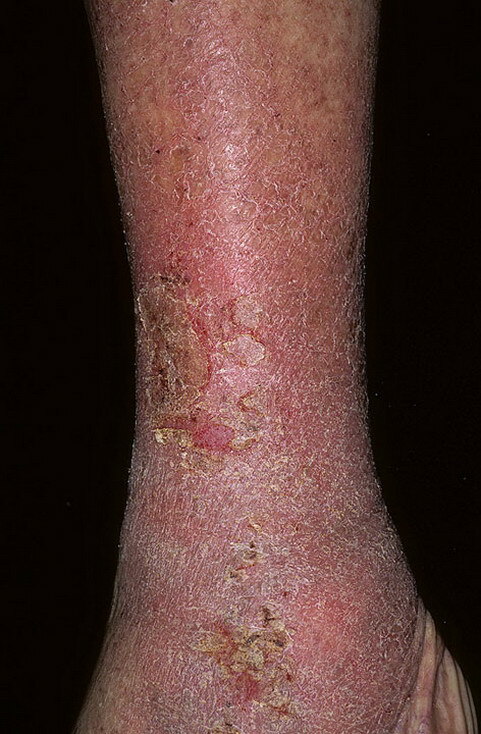 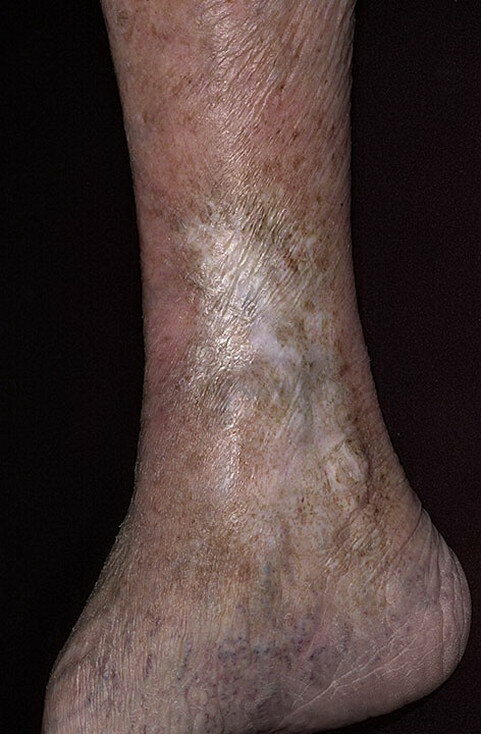 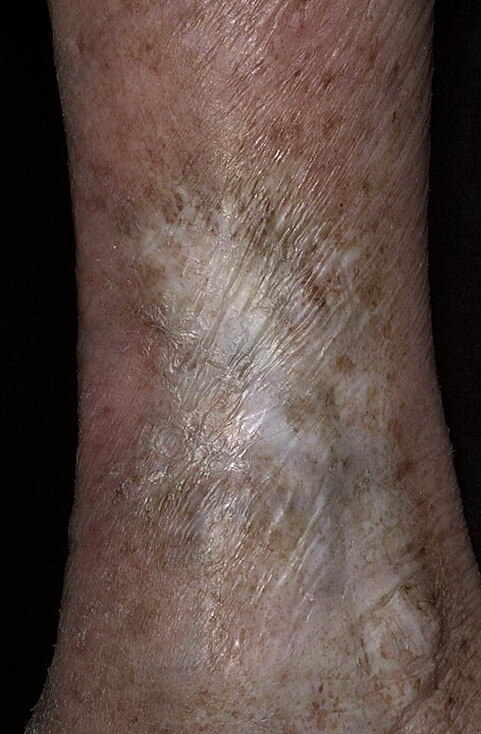 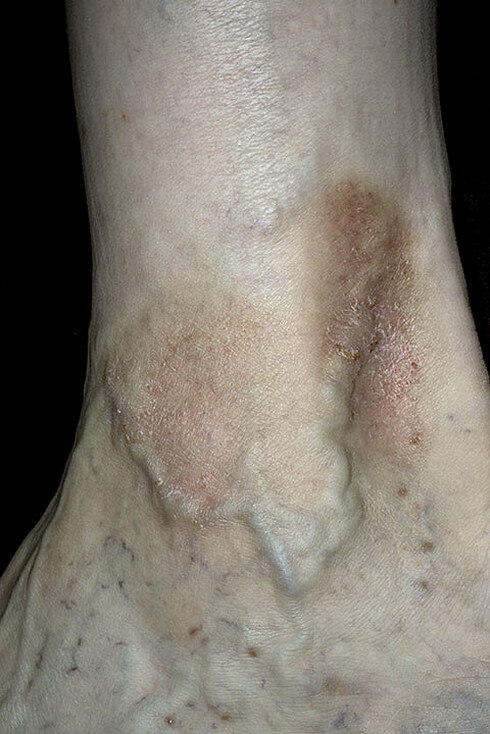 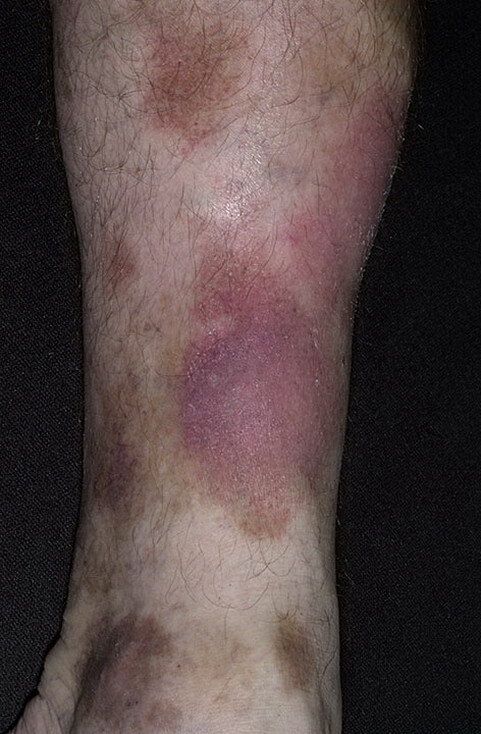 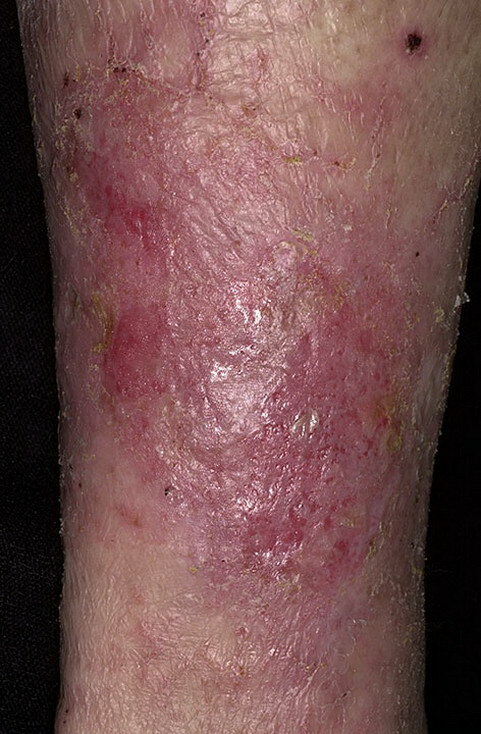 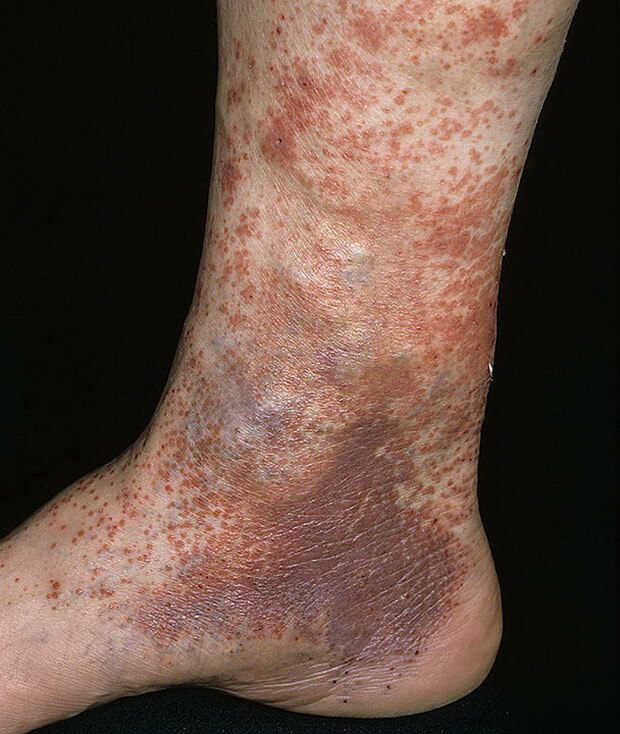 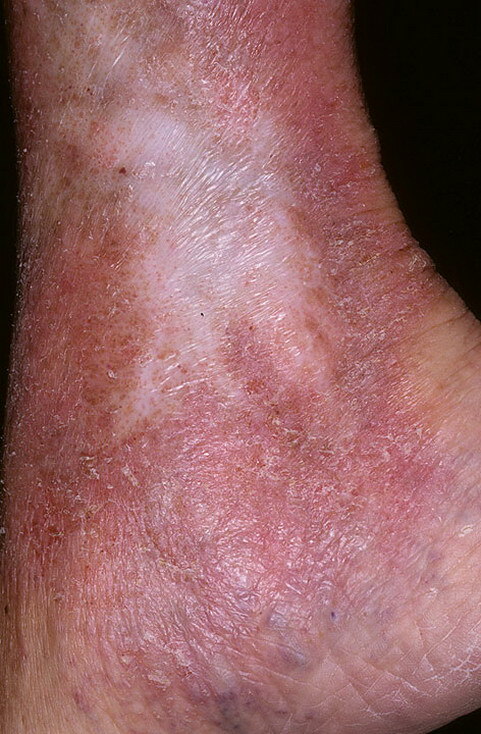 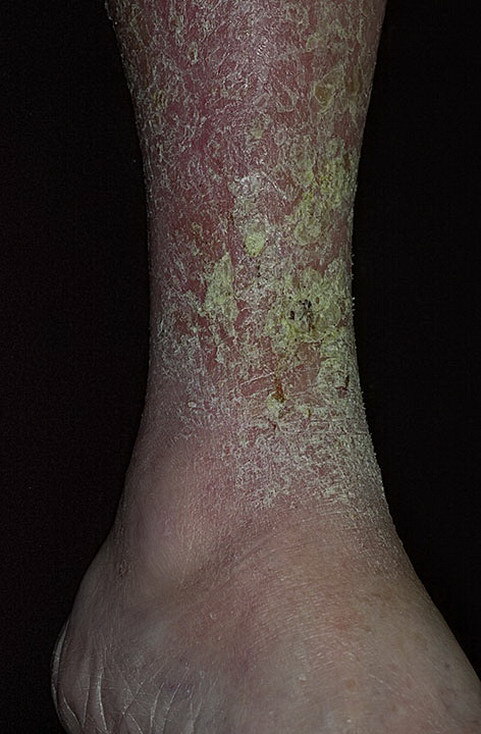 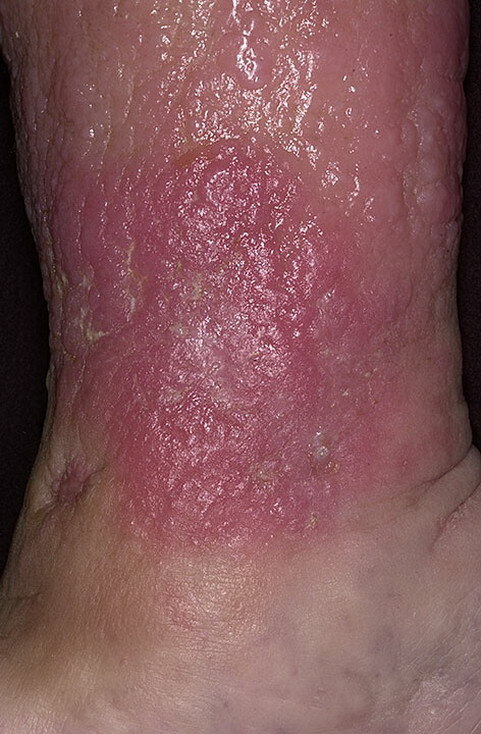 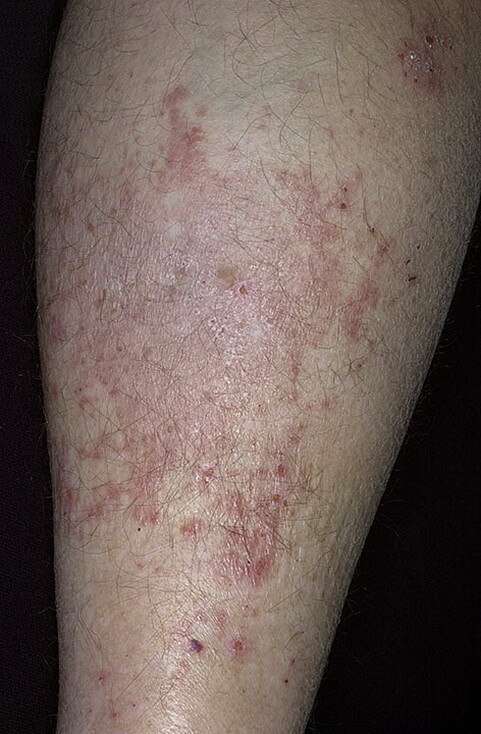 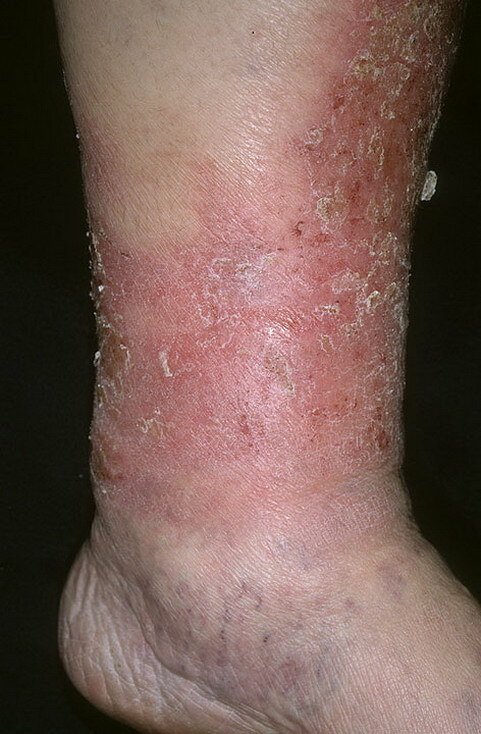 In advanced cases of stasis dermatitis, the inflammation may encircle the ankle and extend to just below the knee; this is sometimes referred to as stocking erythroderma. 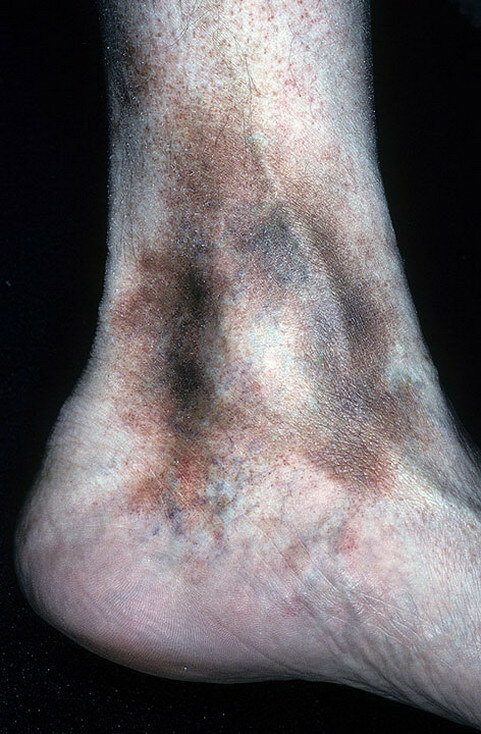 The dorsal part of the foot may be involved in severe cases. 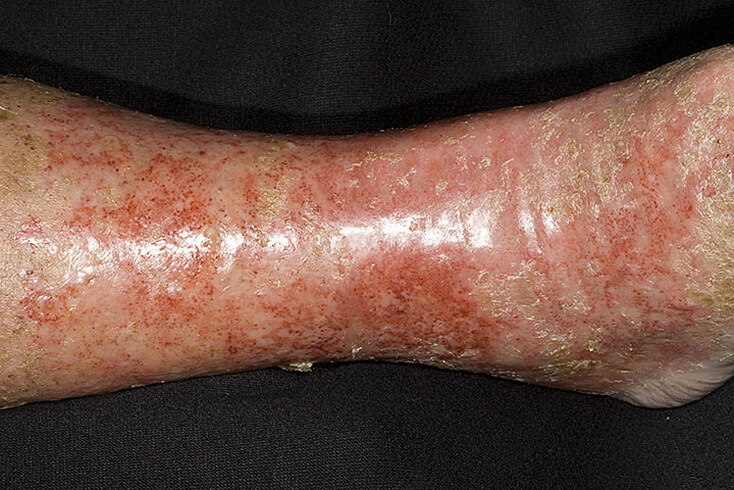 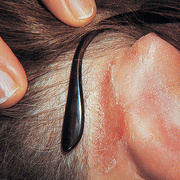 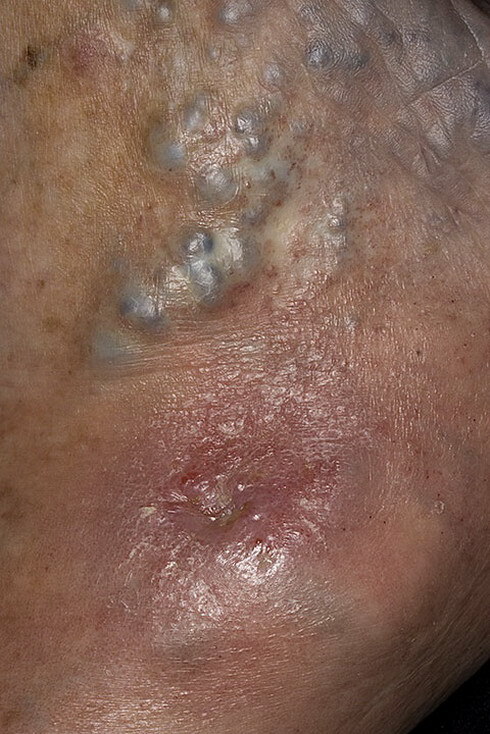 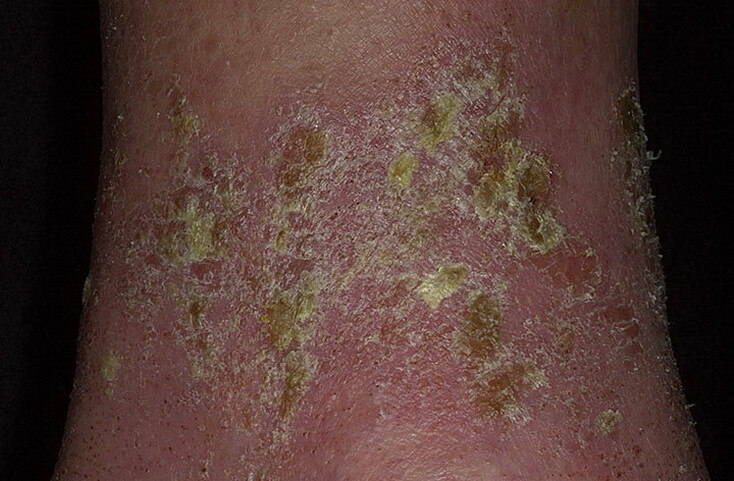 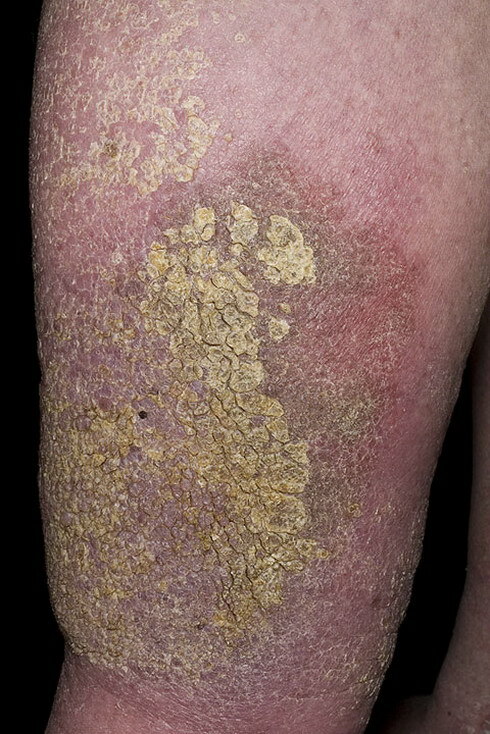 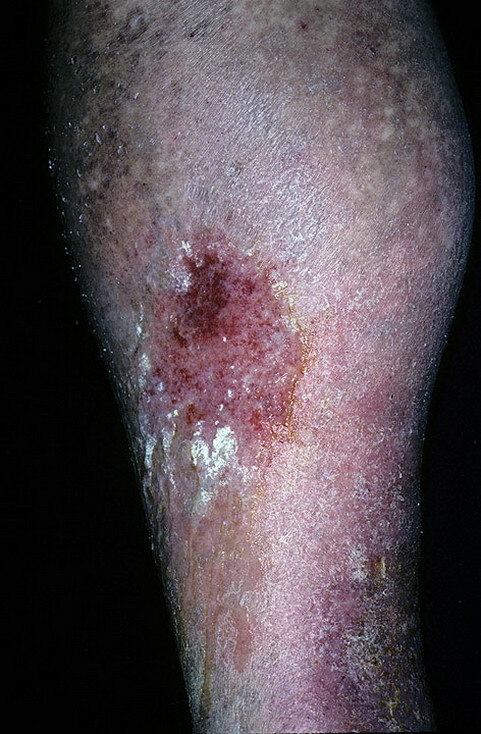 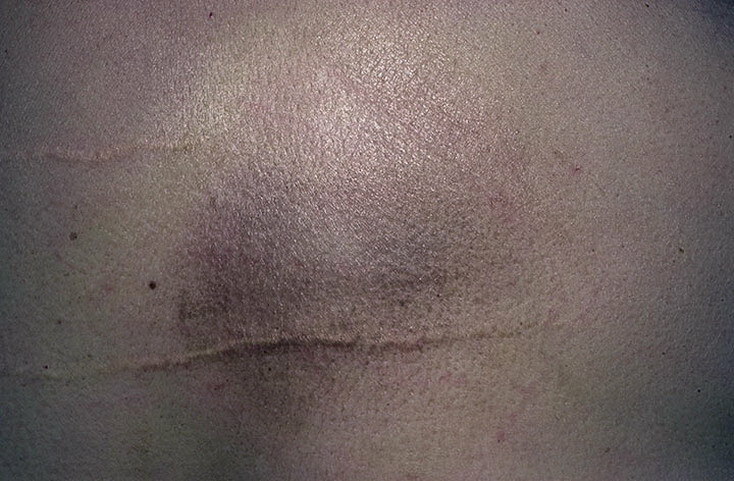 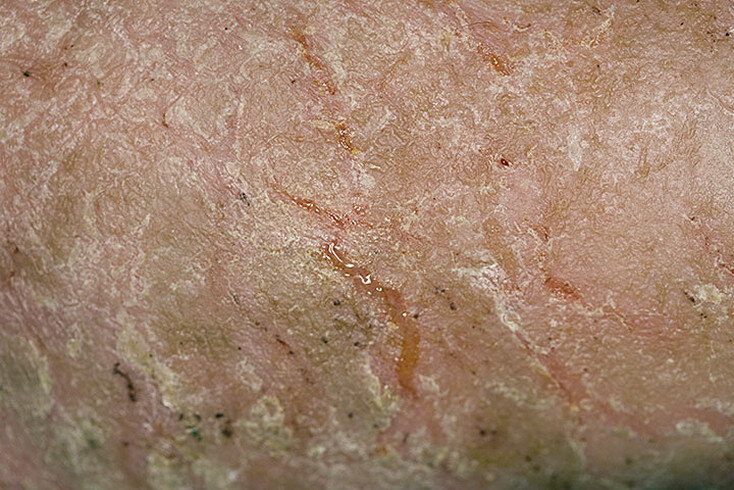 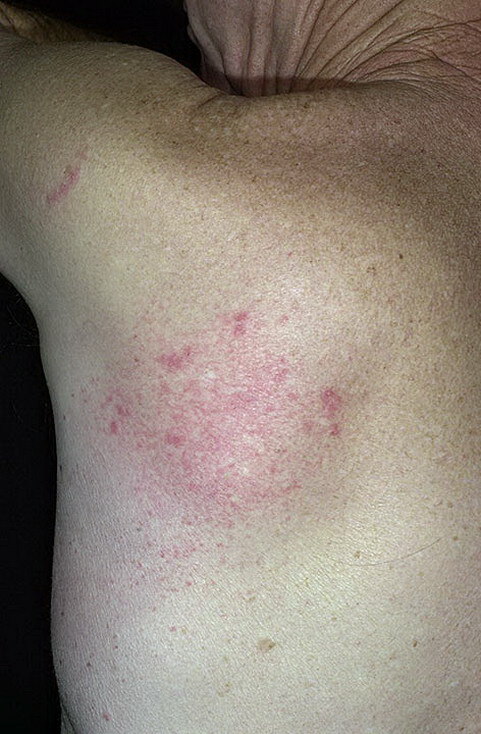 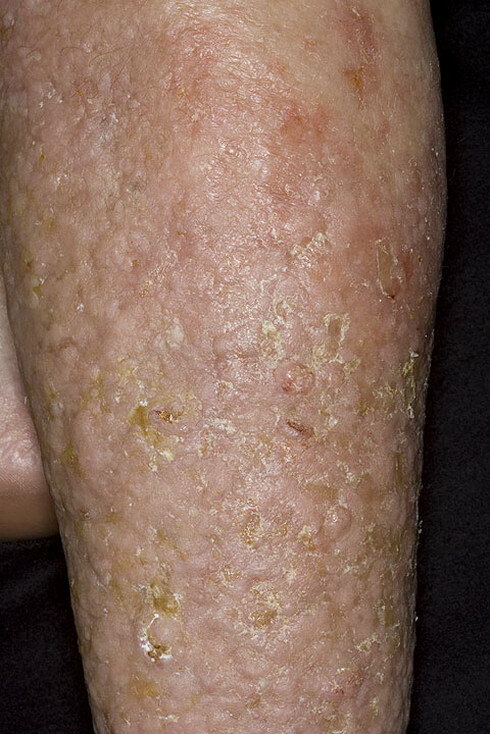 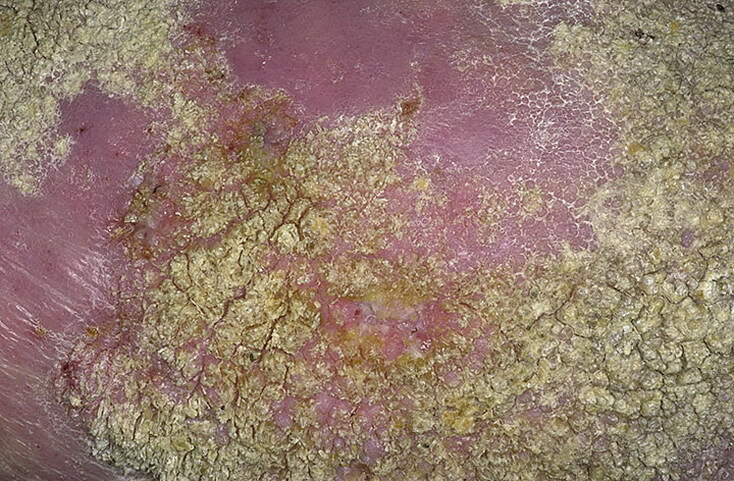 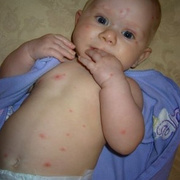 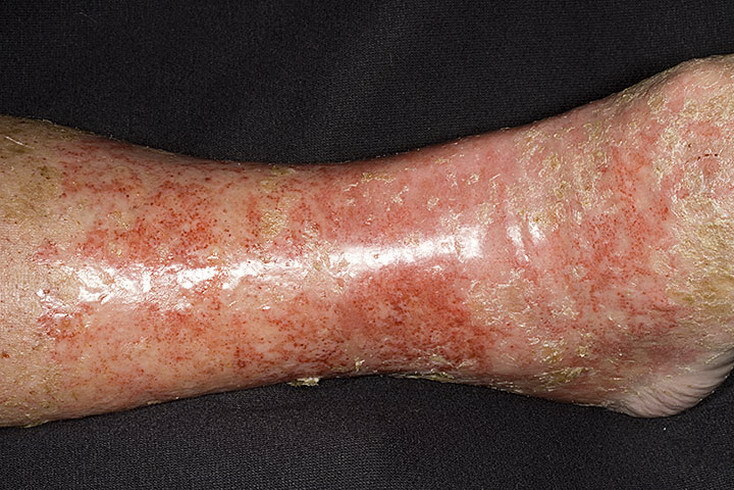 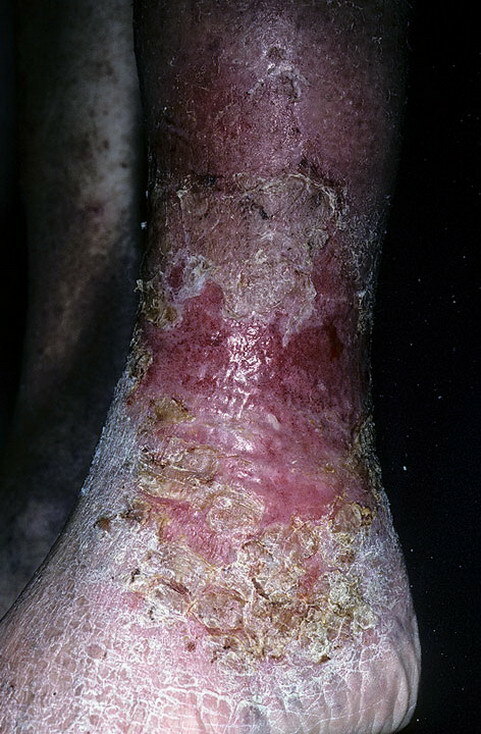 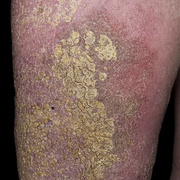 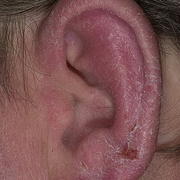 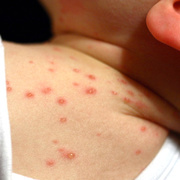 Secondary infection can cause typical honey-colored crusting due to bacteria or can produce monomorphous pustules due to cutaneous candidiasis.